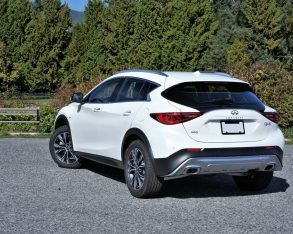 The premium subcompact SUV segment only came into existence in 2011 with just three models competing, yet after seven years its ranks had swollen to an identical seven challengers with sales growth having increased by more than 450 percent. 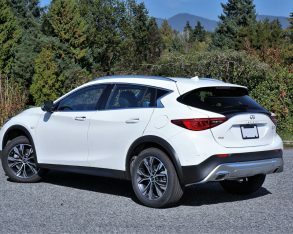 That upward trajectory is hardly slowing either, with 2016 to 2017 year-over-year sales up by more than 25 percent alone. 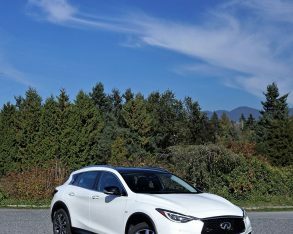 Per capita volume in this segment is higher in Canada than in the U.S. as well, so it only makes sense that all luxury brands want a piece of the action. 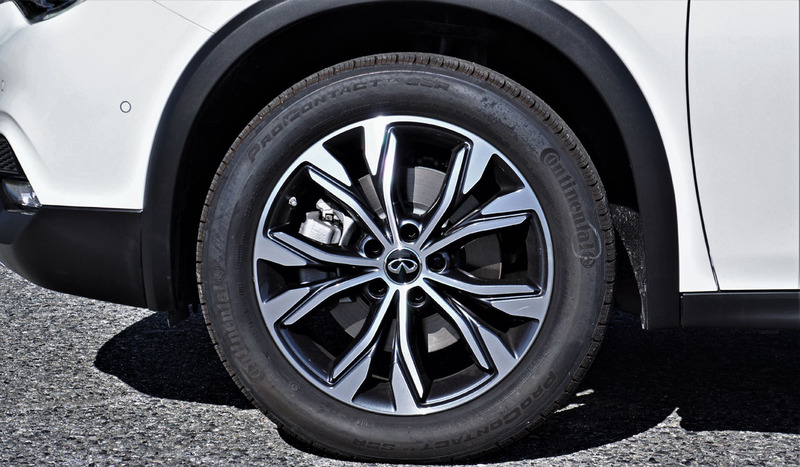 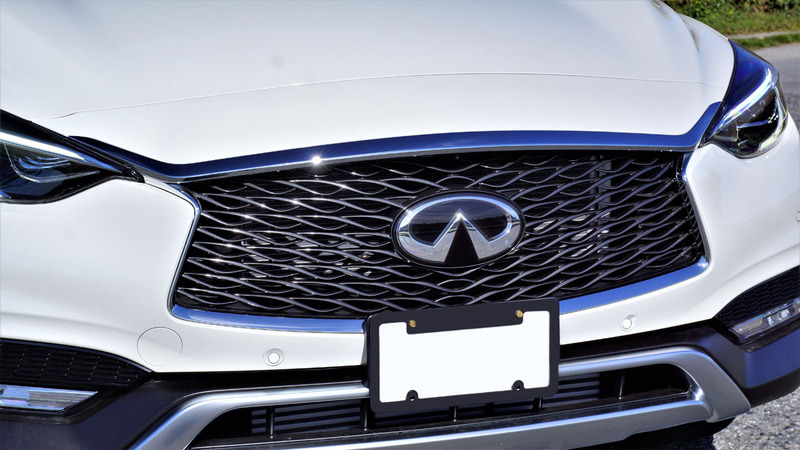 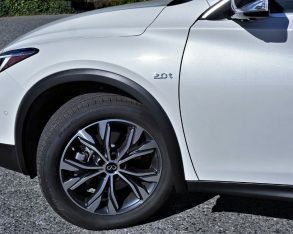 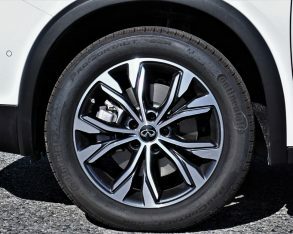 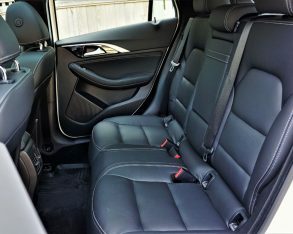 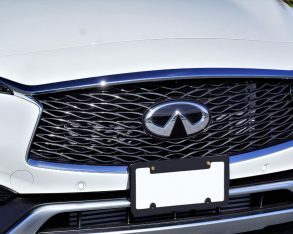 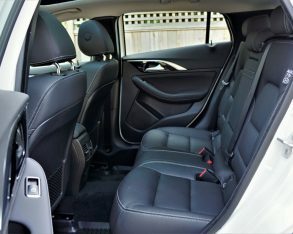 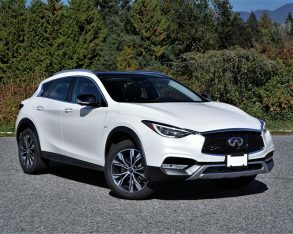 In August of 2016 the QX30 became that seventh subcompact luxury SUV competitor, and thanks to a very affordable starting price that remains unchanged from last year at just $35,990 plus freight and fees, the new SUV simultaneously gave Infiniti a much-needed entry-level gateway model for thousands less than most rivals. 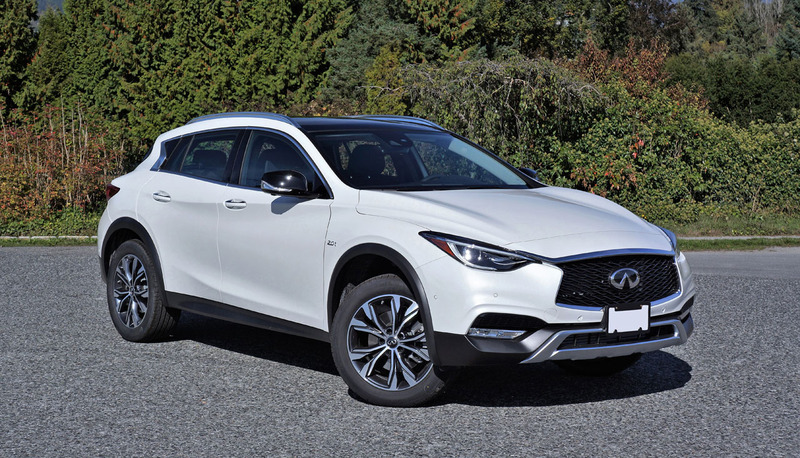 At that price one might think the QX30 is somewhat short on features, but a quick glance at its spec sheet will show the complete opposite is true. 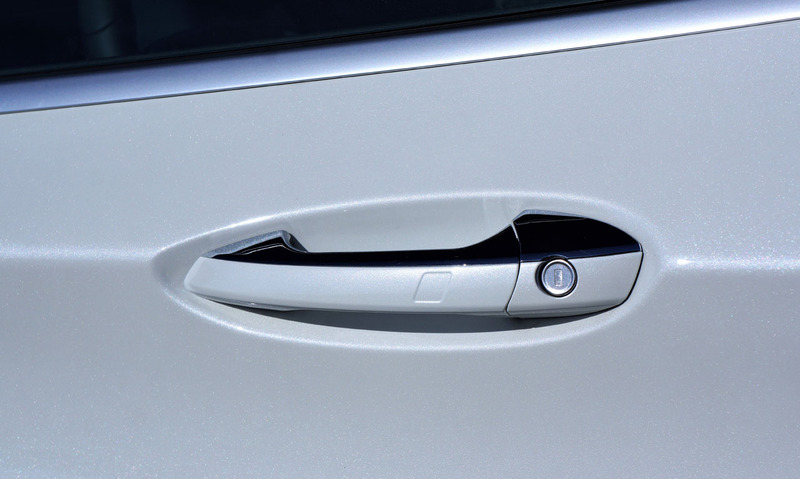 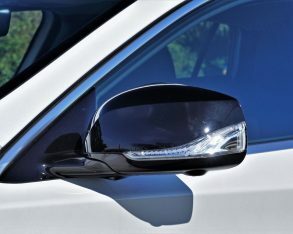 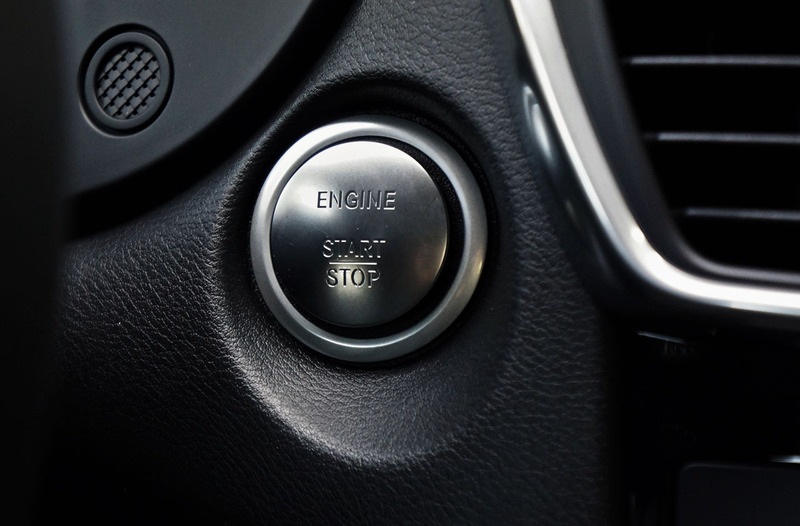 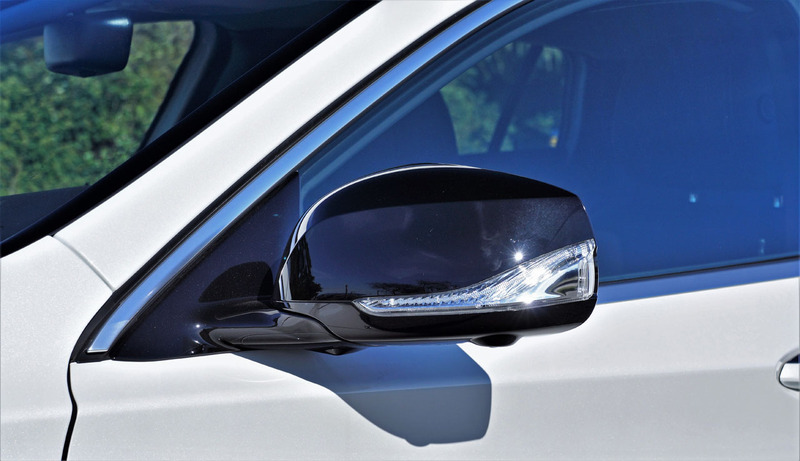 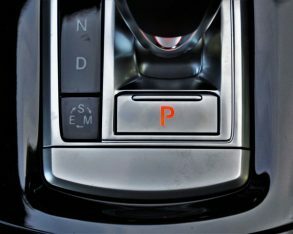 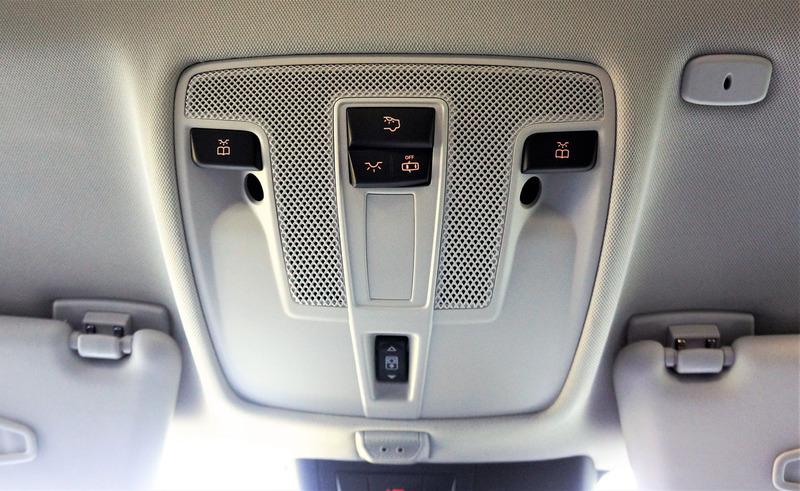 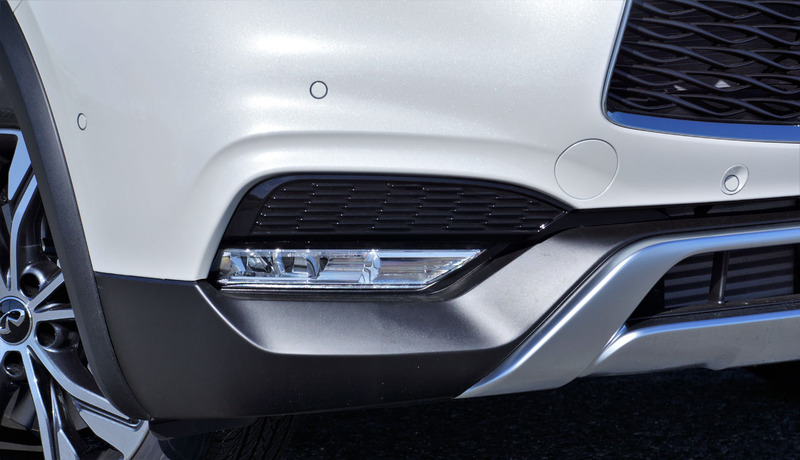 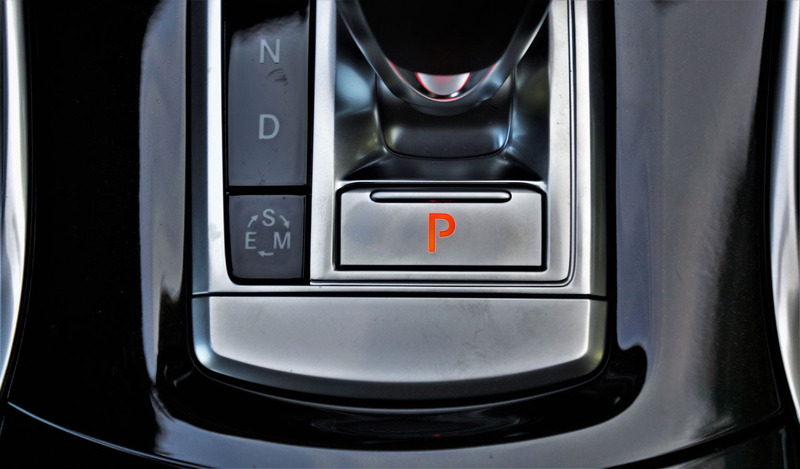 In fact, walk up to the little sport utility with key fob in pocket and welcoming approach lamps illuminate the ground to each side, while a proximity-sensing key lets you inside. 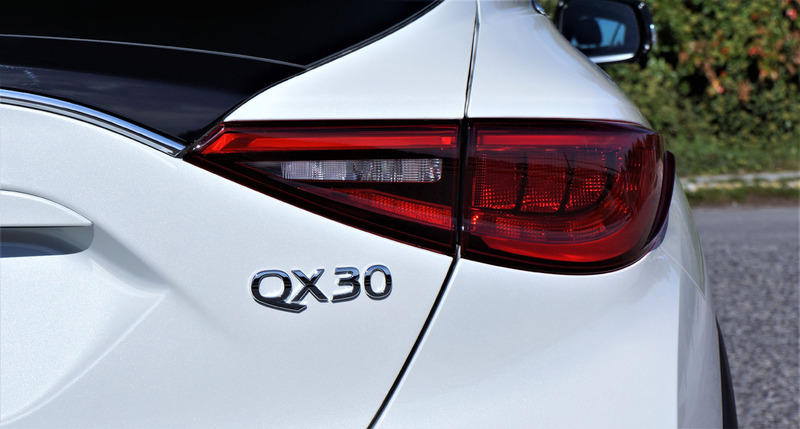 Yes, I’m talking about the base QX30, not a fully optioned version. 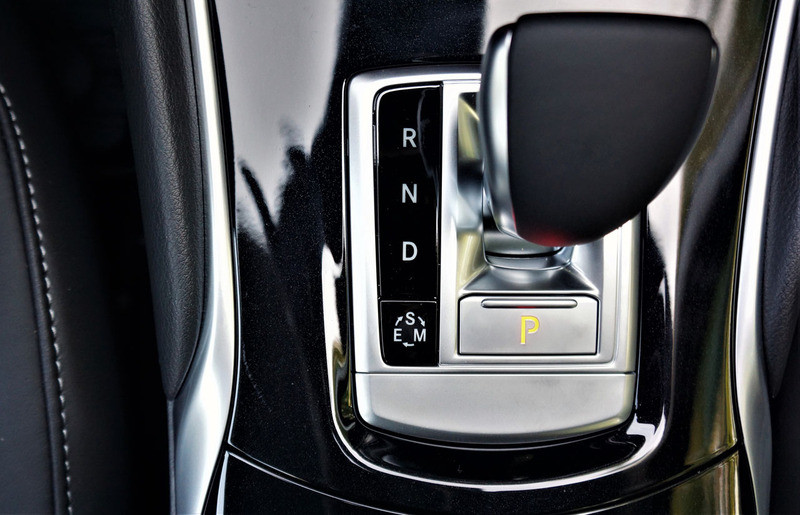 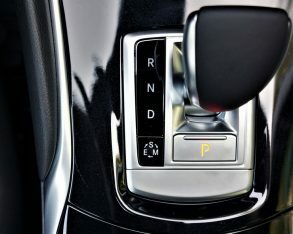 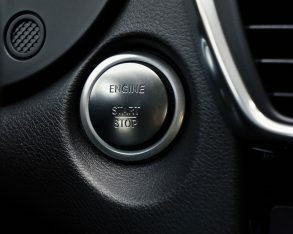 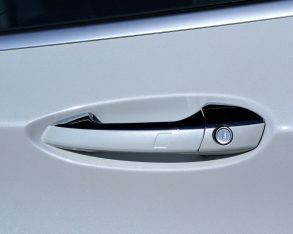 Continuing on that value-added theme, the standard features list is further bolstered with pushbutton ignition, an electromechanical parking brake, plus auto-dimming centre and driver’s side mirrors, while those turn signal-enhanced outer mirrors are also power-folding, making it easier to squeeze by in tight parking spots. 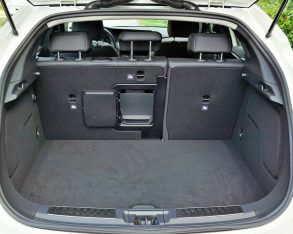 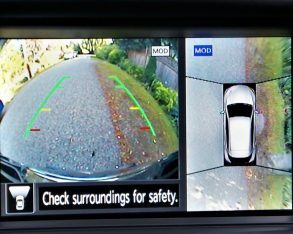 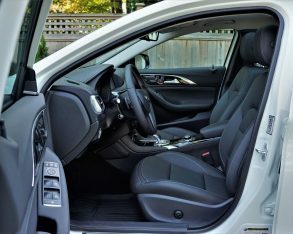 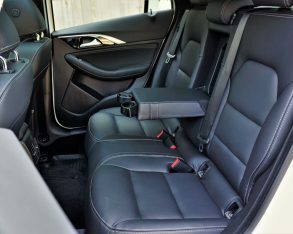 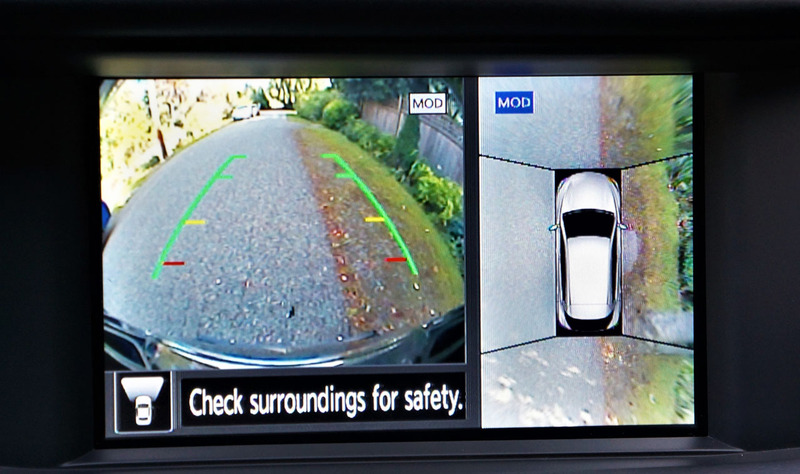 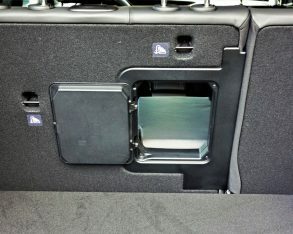 A standard backup camera with dynamic guidelines makes reversing out of such spots less stressful too, while other thoughtful standard conveniences include dual-zone auto climate control, heated eight-way power-adjustable front seats with four-way powered lumbar support and three-way seat and mirror memory for both the driver and front passenger, while the standard upholstery is genuine Nappa leather front to back. 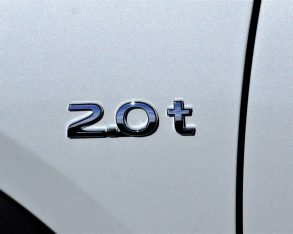 Seriously, if you want to see a German blush from shame, match that list up to one of the QX30’s Teutonic competitors. 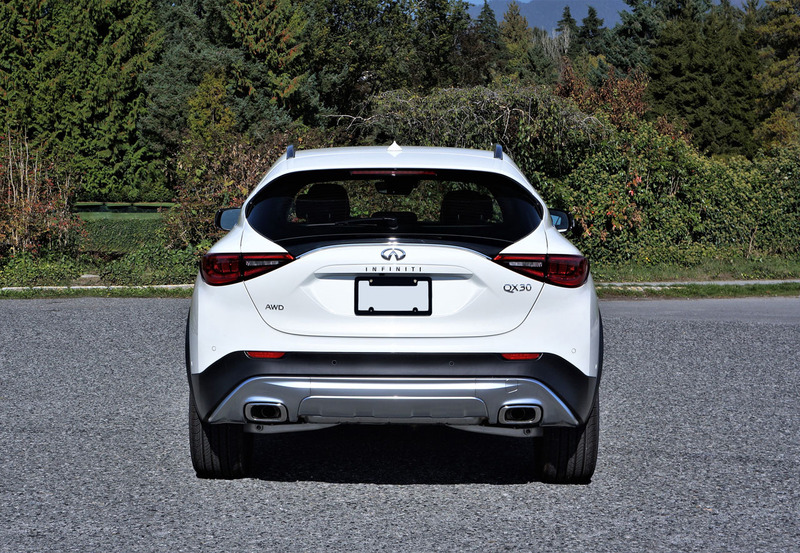 This reality becomes even more awkward when you learn this elegantly styled Infiniti is actually a Mercedes-Benz GLA 250 under the skin. 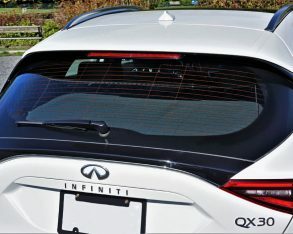 While its classy chromed double-arch trademark grille, cat’s eyes LED-enhanced headlamps, secondary trademark C-pillar kink, beautifully detailed LED taillights, and gracefully arcing rear window/liftgate design look every bit Infiniti, the interior is filled with clear giveaways to its Stuttgart-sourced underpinnings. 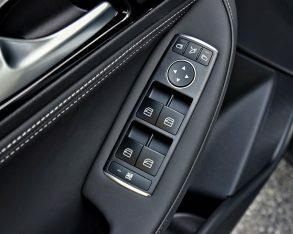 I actually noticed the Mercedes-style key fob even before climbing inside, while repositioning the driver’s seat required adjustment via the German brand’s unique seat-profile shaped switchgear up on the door panels, where they’re easy to see and access. 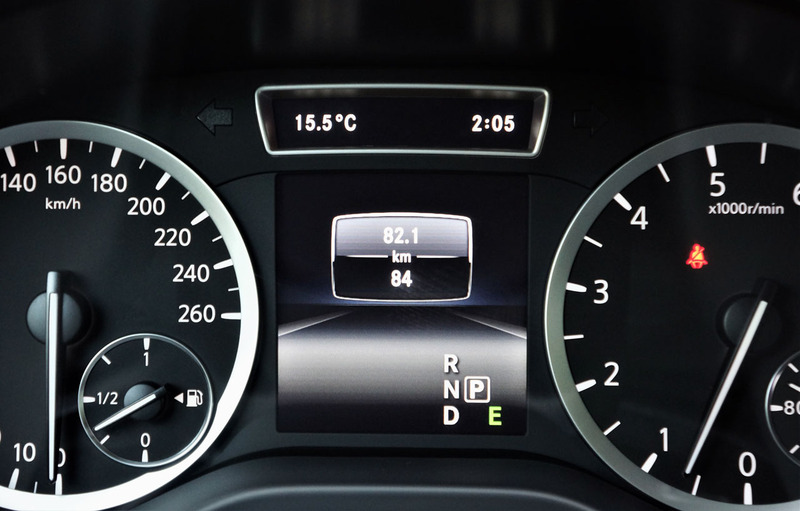 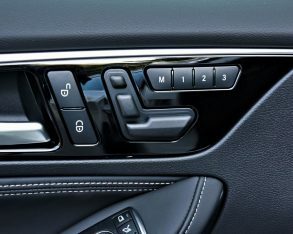 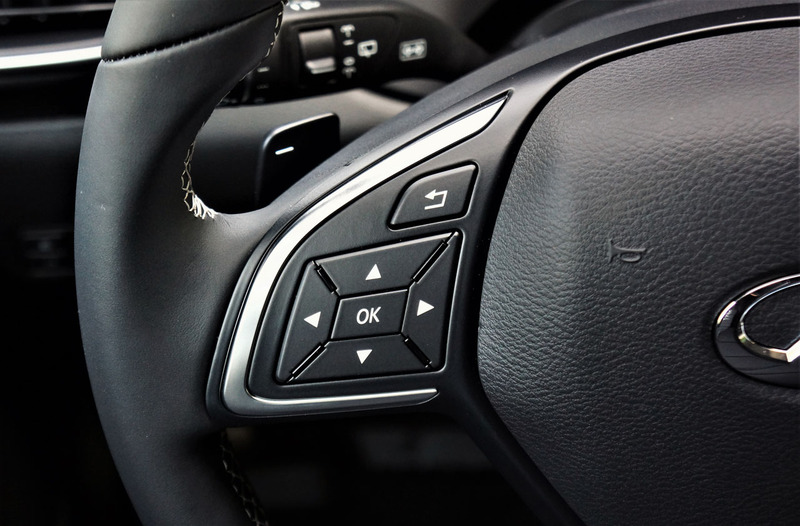 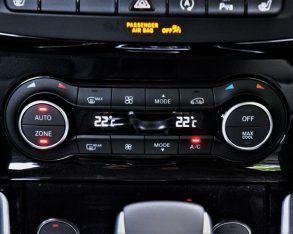 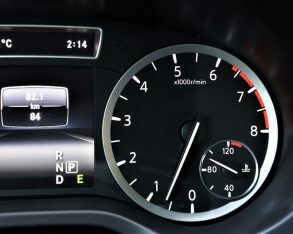 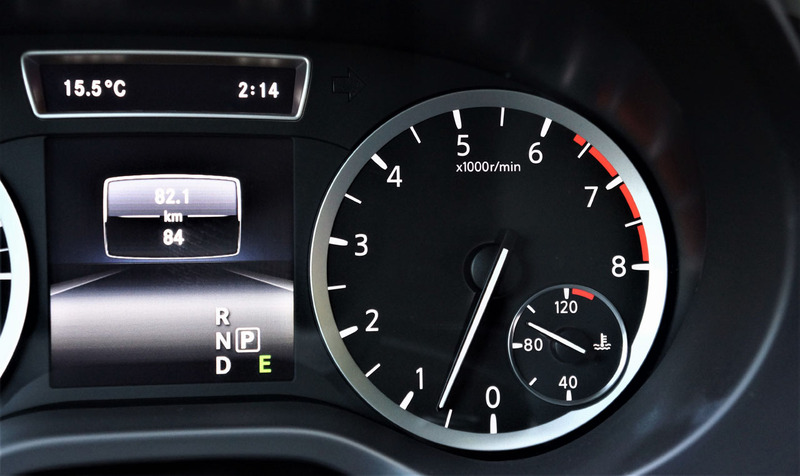 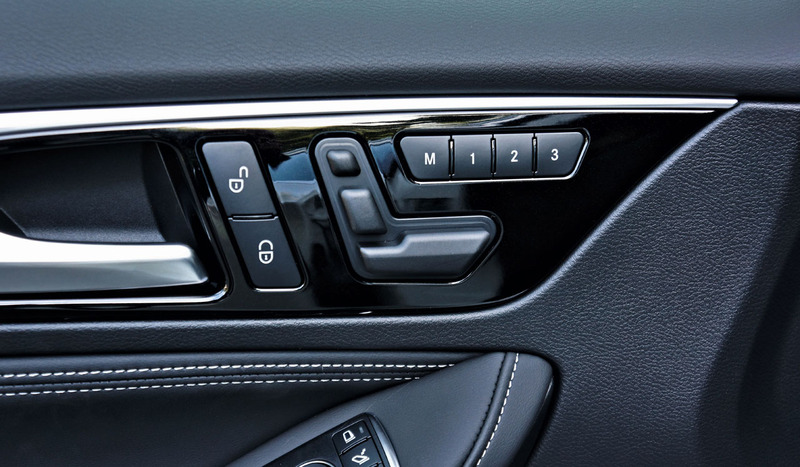 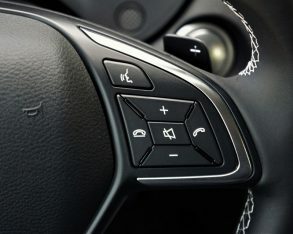 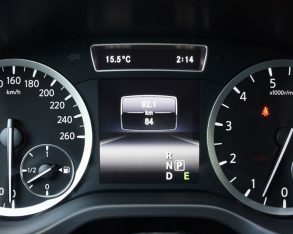 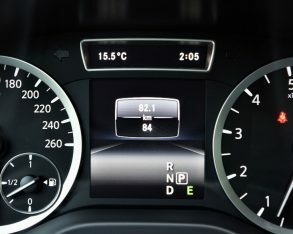 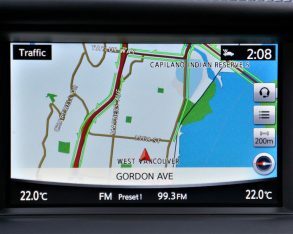 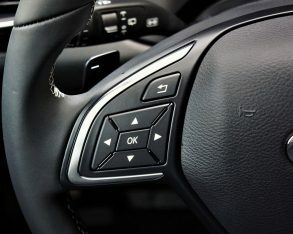 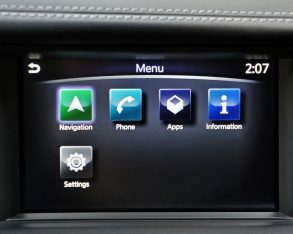 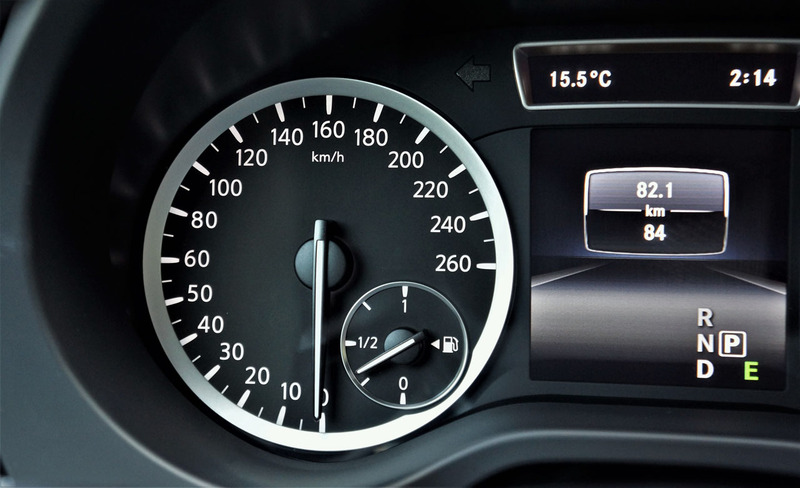 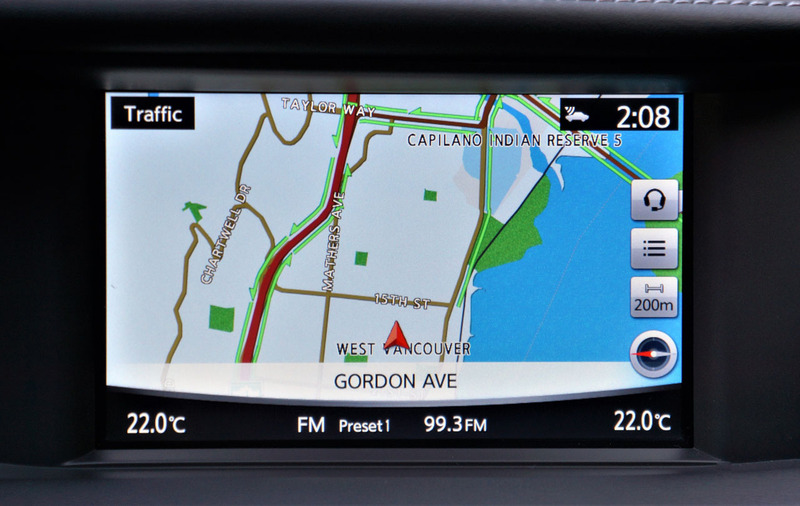 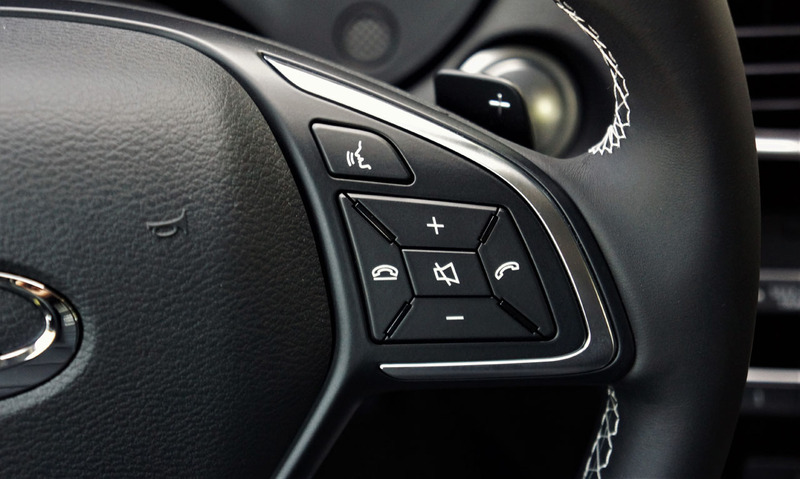 The power window and lock buttons, plus the mirror toggle and switches are Mercedes fare too, as is the shape of the steering wheel, yet while obviously pulled from M-B’s vast parts bing the buttons on the steering wheel spokes are totally different from those used for the GLA, as is the Mercedes-sourced gauge cluster and colour multi-information display, which comes complete with M-B fonts and graphics. 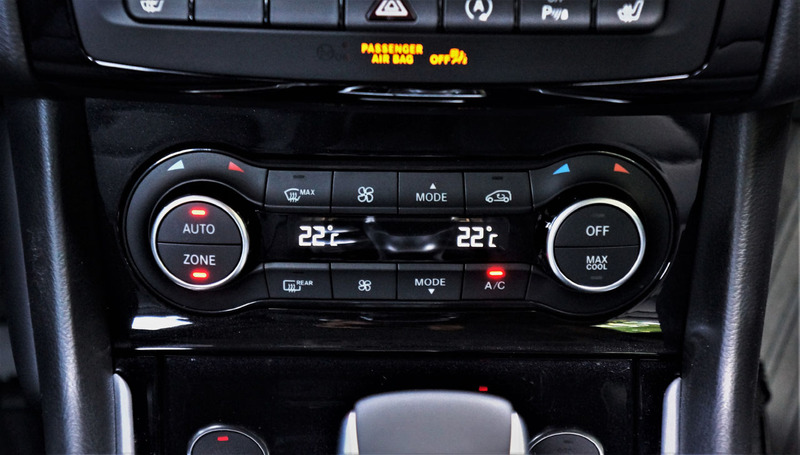 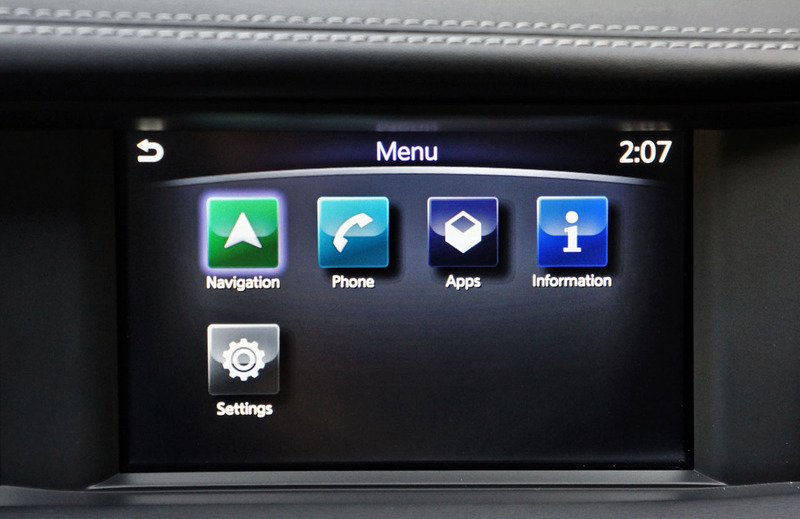 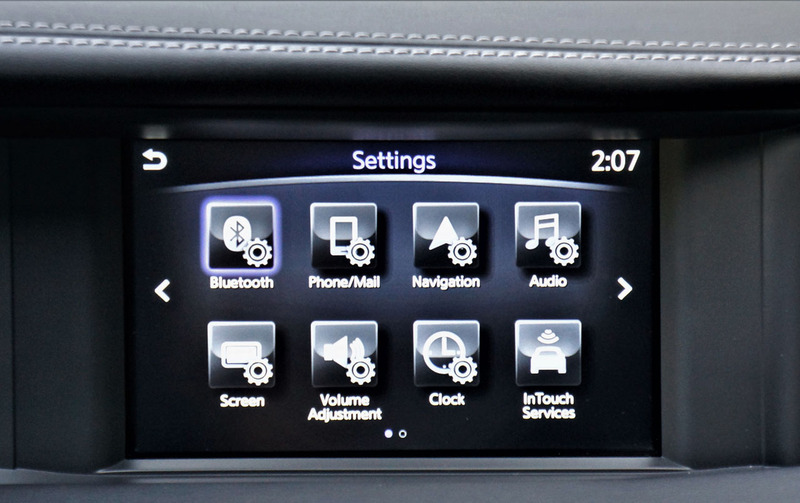 The entire centre stack could be from a Mercedes too, especially the HVAC interface, but which one I’m not sure. 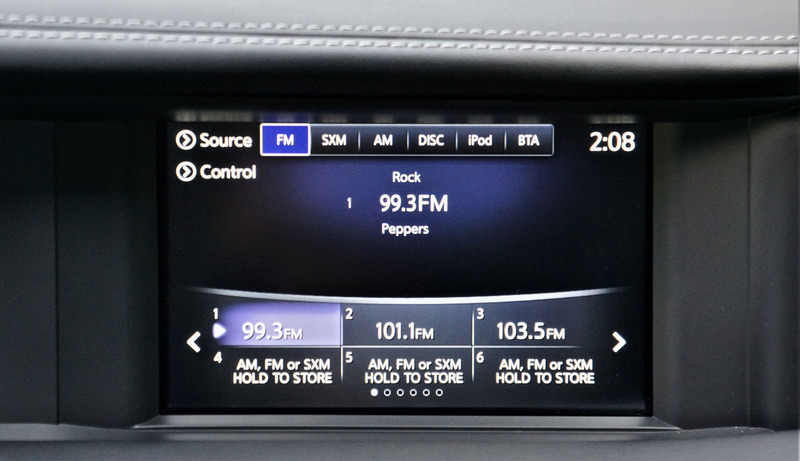 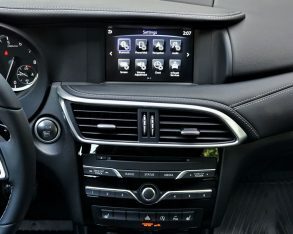 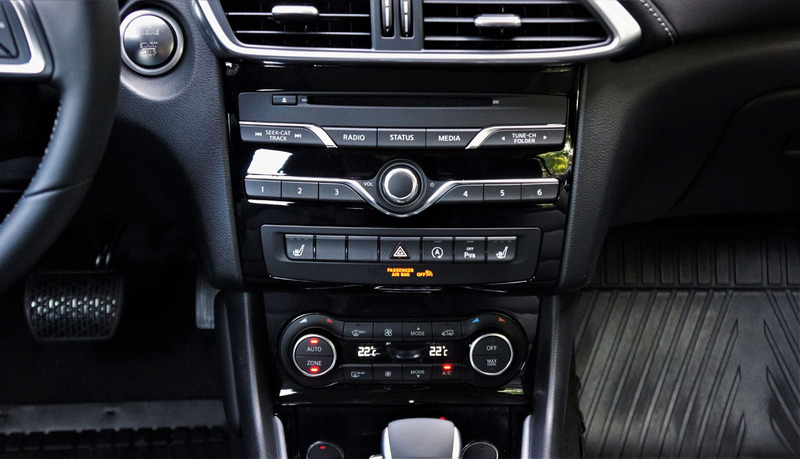 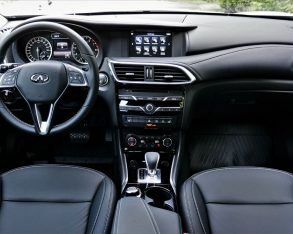 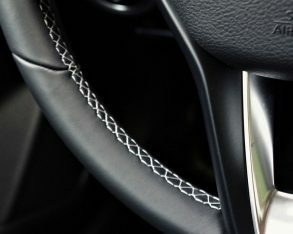 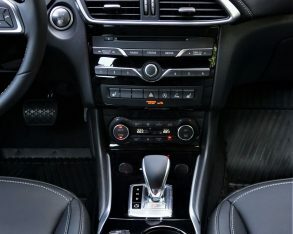 The 7.0-inch touchscreen is filled with Infiniti’s familiar graphics and functions, but the infotainment dial and various buttons on the lower console are pure Benz, as is the satin aluminum-trimmed gearshift lever. 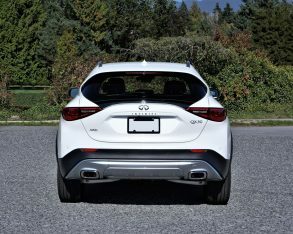 Of course, Infiniti brands everything with its “two central lines leading off into an infinite point on the horizon” logo, and as importantly there isn’t much inside the cabin that looks remotely similar to the GLA from a design standpoint, which leaves Infiniti and its Japanese-luxury oriented fan-base happy with a subcompact SUV of their own, and Mercedes’ parent Daimler content that it has a B2B partner to share both development and production costs with. 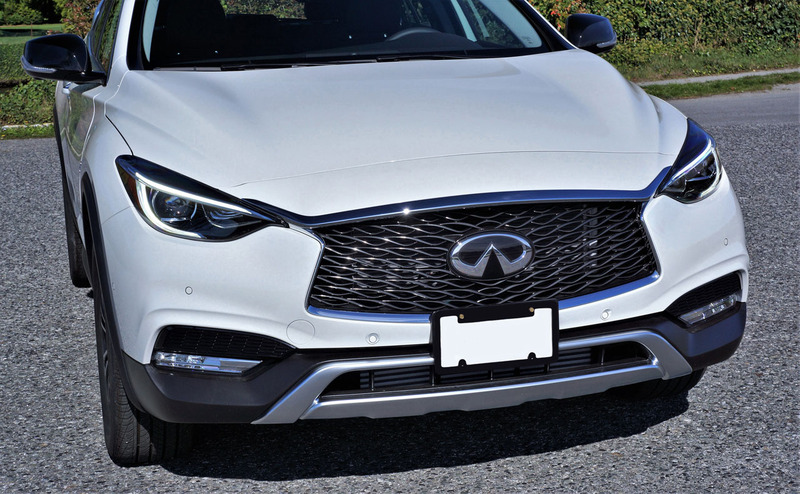 It’s important to note, for respectability’s sake, the relationship between Infiniti and Daimler isn’t merely a one-way street. 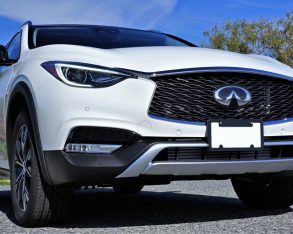 In fact it’s a comprehensive long-term strategic partnership founded in 2010 that sees Nissan, Infiniti’s parent, building 2.0-litre turbocharged four-cylinder engines for rear/all-wheel drive Renault/Infiniti and Mercedes vehicles in Decherd, Tennessee (the Q50, Q60, and C-Class included, whereas engines for the transverse-mounted front/all-wheel drive QX30 and GLA come from Mercedes’ plant in Germany); an assembly plant collaboration in Aguascalientes, Mexico for the new Infiniti QX50 (plus the upcoming short-wheelbase Mercedes A-Class sedan, and future Mercedes GLB SUV); Nissan Twingo architecture and powertrain contributions for Daimler’s Smart ForTwo (including the electric powertrain for Smart’s EV); the future Mercedes X-Class pickup truck riding on Nissan NP300 Navara hardware and built by Nissan at a Renault plant in Cordoba, Argentina; etcetera. 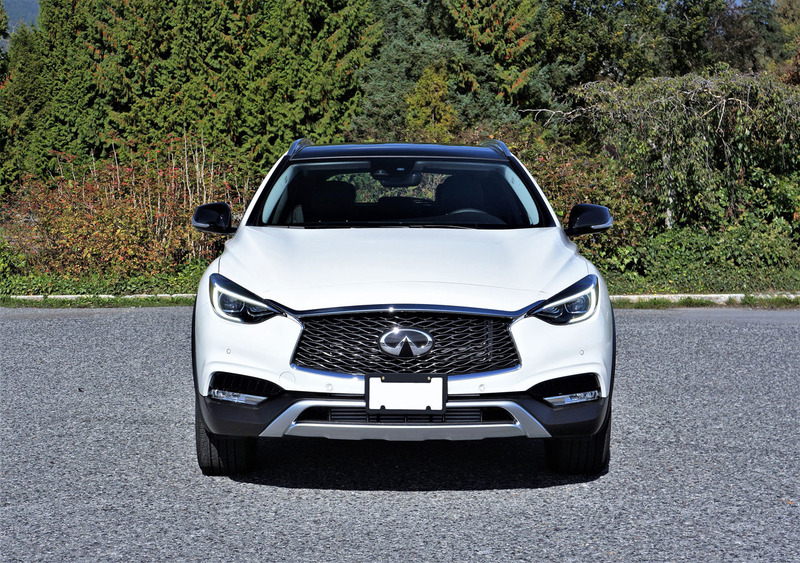 Additionally, Infiniti was involved in the QX30/GLA design from the ground up, and tunes the powertrain to its own unique specifications, resulting in a small SUV that feels a bit more luxury-oriented than the slightly sportier Mercedes, although the QX30 is no laggard either. 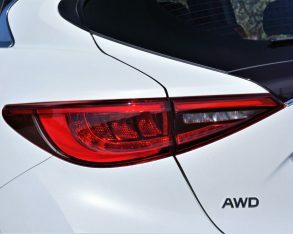 The direct-injected and turbocharged 2.0-litre four-cylinder engine makes 208 horsepower and 258 pound-feet of torque, the latter from only 1,200 rpm, resulting in off-the-line performance that’s more than adequate and overall drivability that’s plenty of fun, especially when a curving roadway opens up ahead. 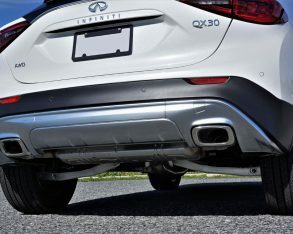 Infiniti’s suspension tuning provides an excellent compromise between ride quality and road holding, delivering an engaging driving experience that’s nevertheless very comfortable, even over rougher patchwork pavement. 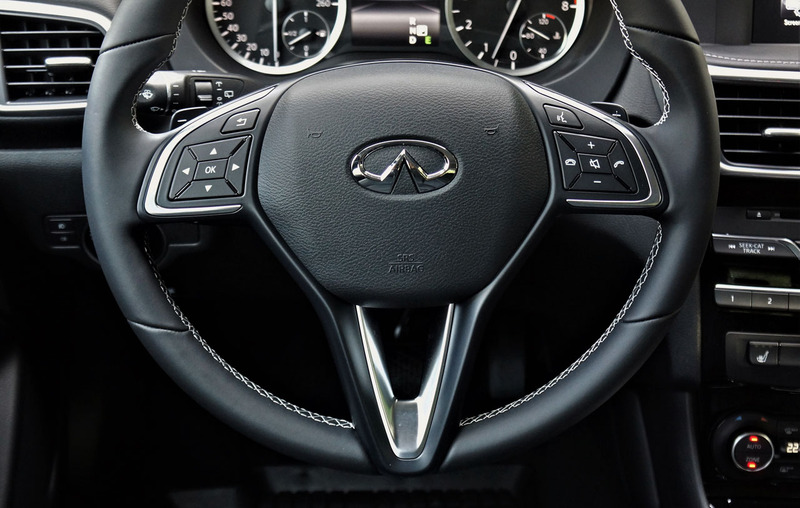 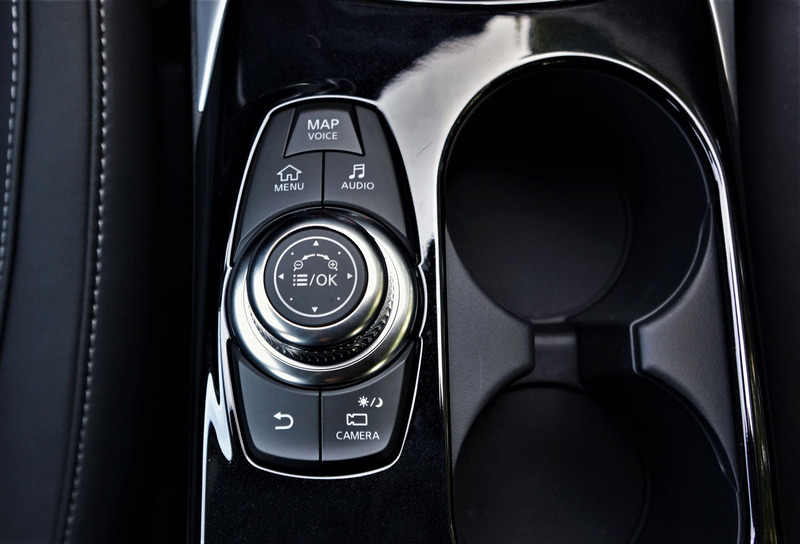 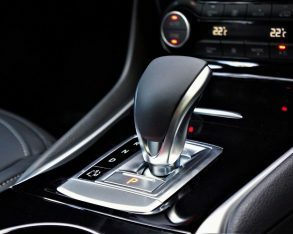 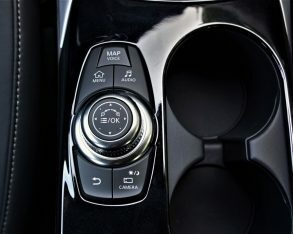 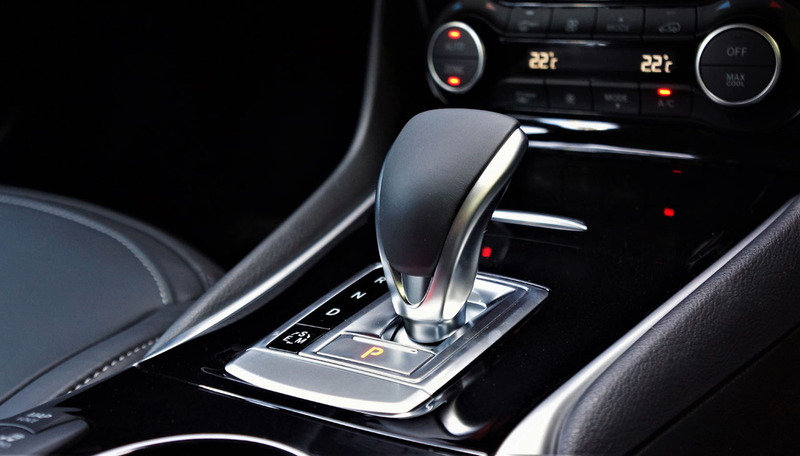 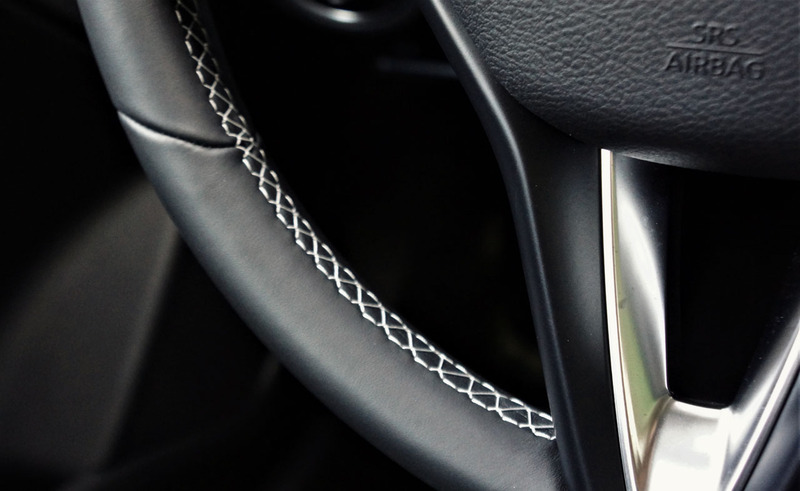 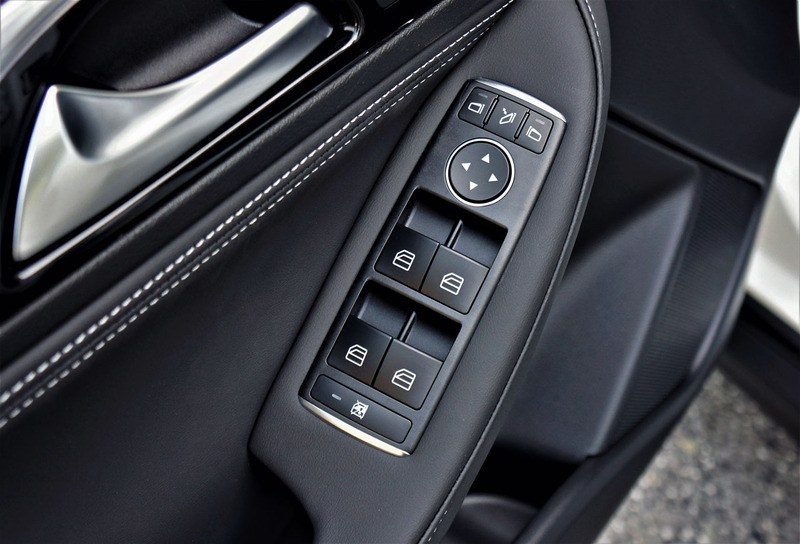 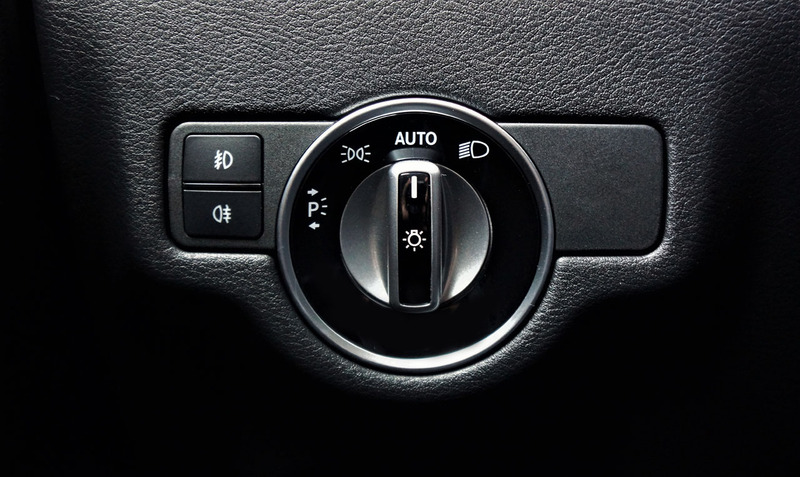 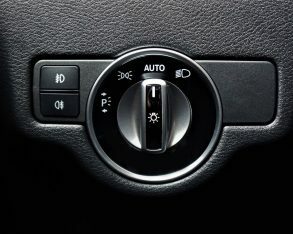 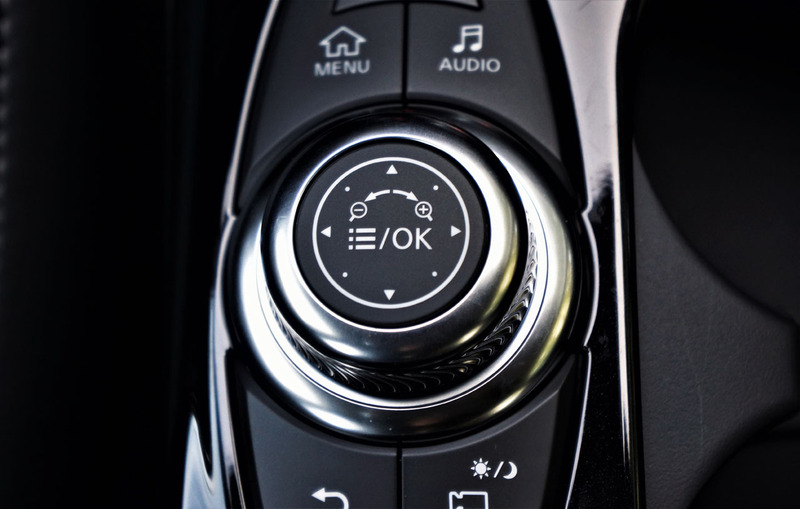 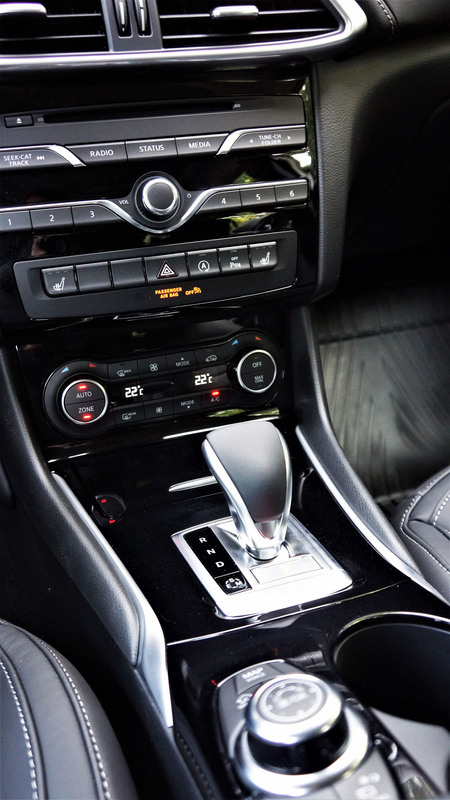 Both Infiniti and Mercedes have long employed seven-speed automatic transmissions, making them easy to interchange without anyone noticing. 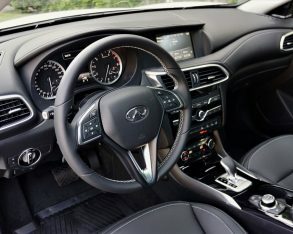 I certainly found the QX30’s dual-clutch gearbox quick-shifting enough and appreciated the standard steering wheel-mounted paddles as well, while the Japanese brand makes sure an effective Sport mode is also part of the standard package, not to mention an Eco mode that makes the most of auto start/stop, which shuts the engine down when it would otherwise be idling to reduce fuel consumption and emissions. 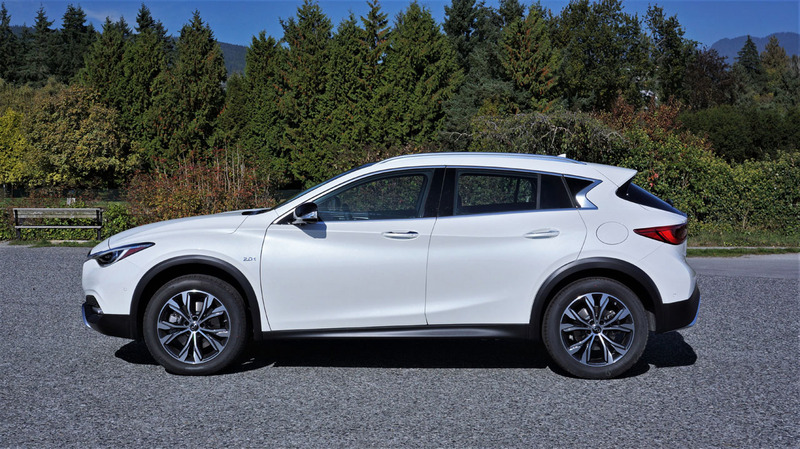 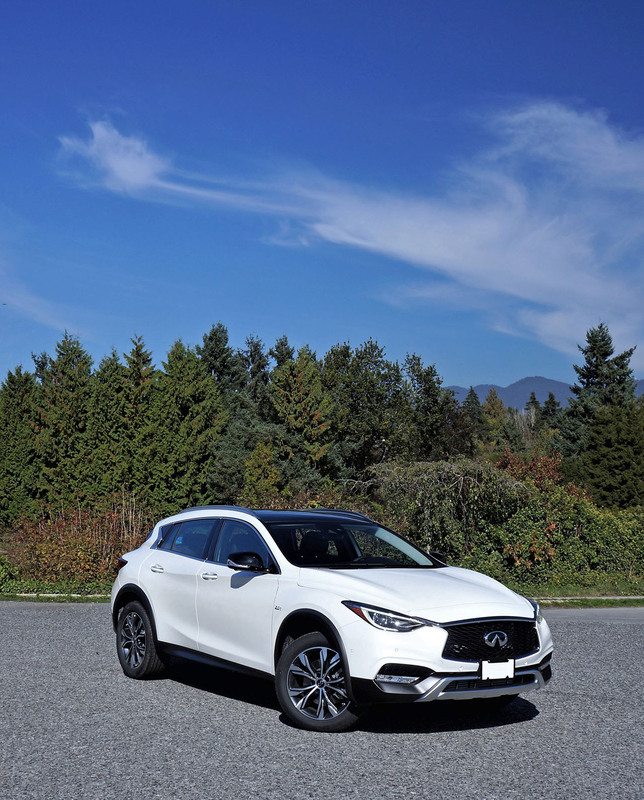 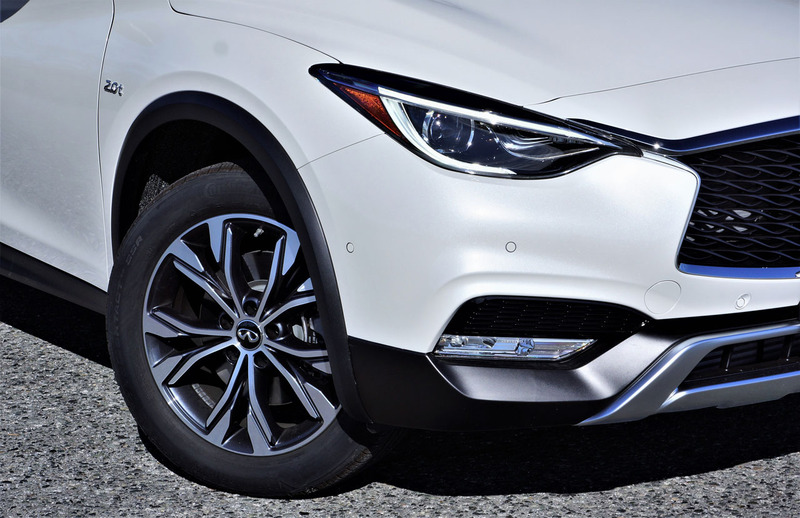 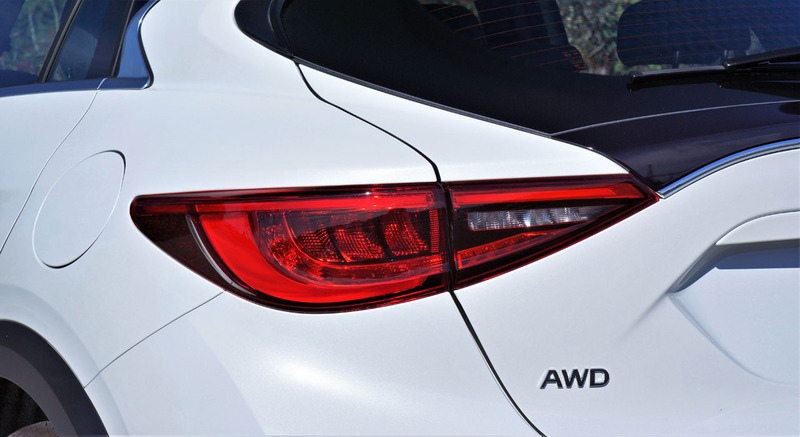 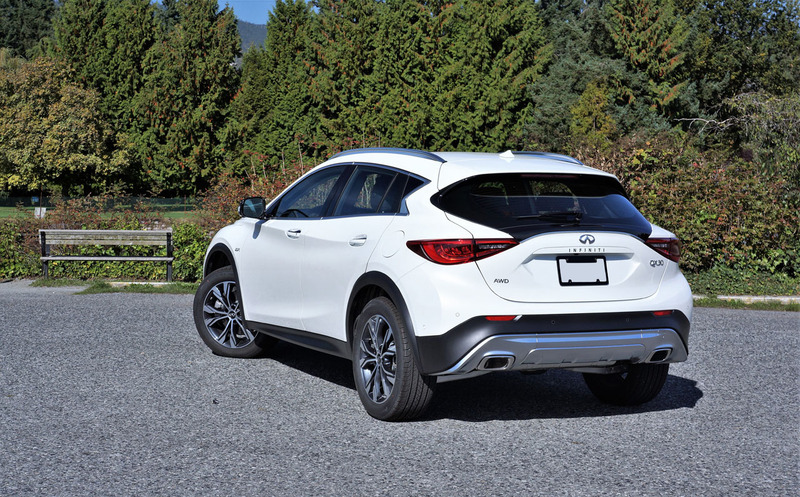 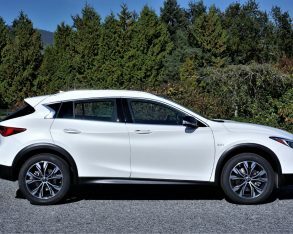 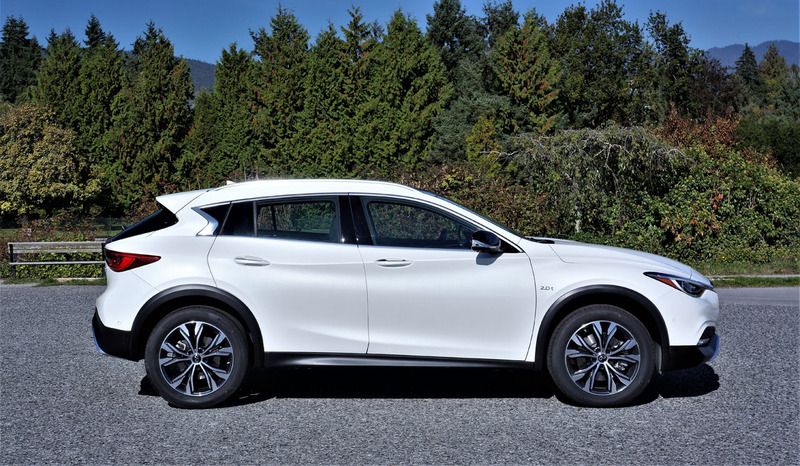 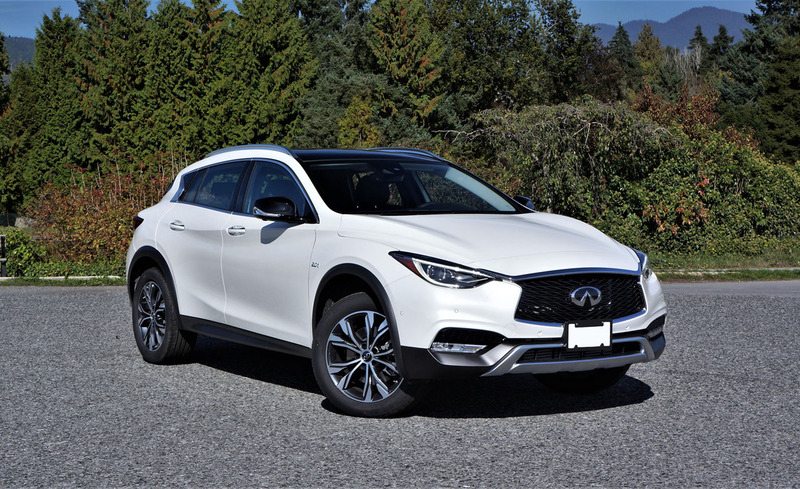 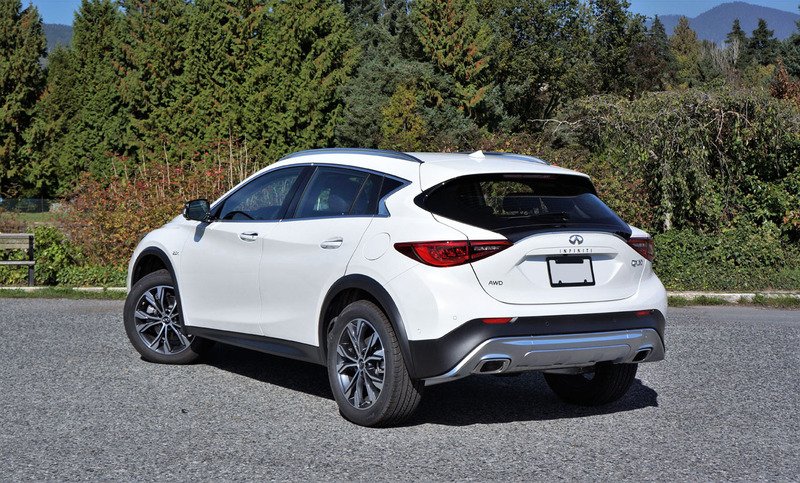 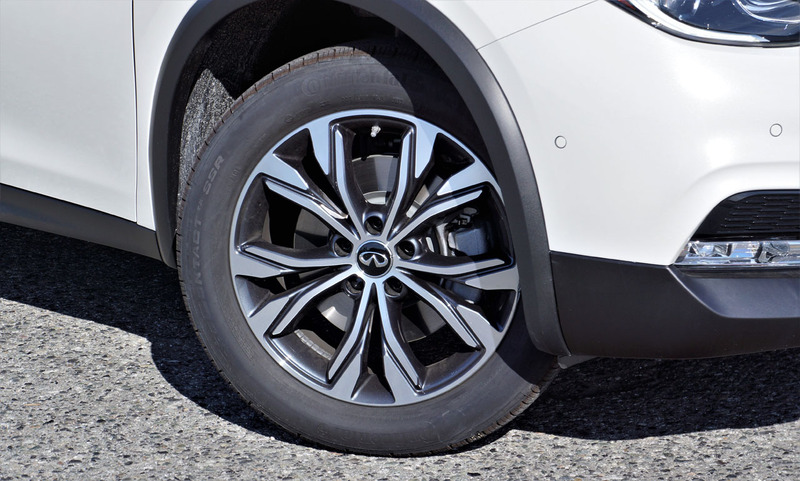 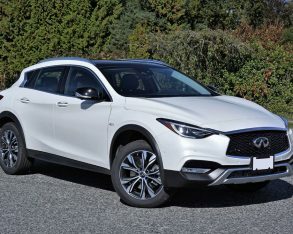 The result is a five-cycle Transport Canada rating of 10.6 L/100km in the city, 8.0 on the highway and 9.4 combined with its as-tested all-wheel drive powertrain, making the QX30 one of the more fuel-efficient AWD models in its category. 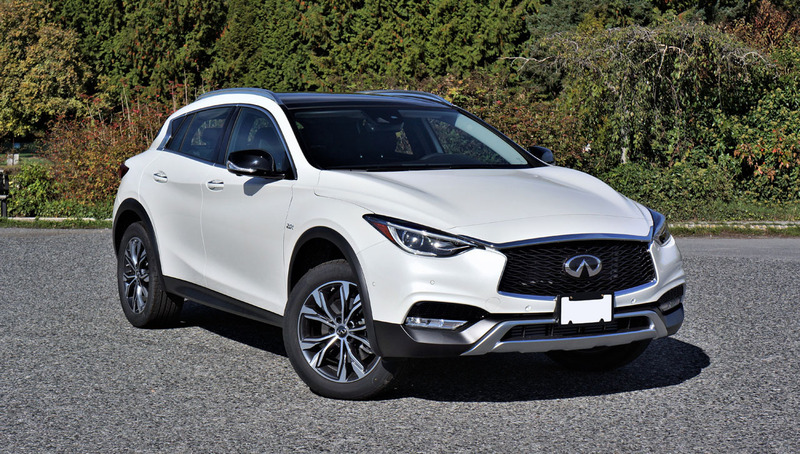 Of note, both base and top-line Sport trims are front-wheel drive and therefore even thriftier, with a claimed rating of 9.7 city, 7.1 highway and 8.5 combined, which is by far the best in class. 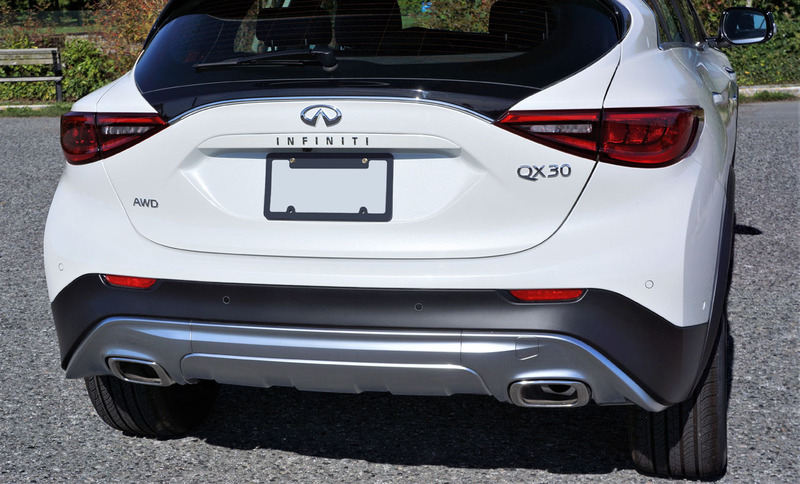 Swift, comfortable and quiet, the QX30 could be the ideal subcompact luxury SUV. 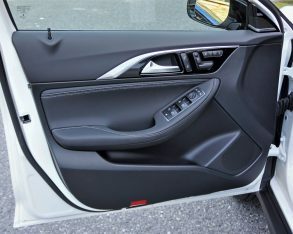 It measures up in most other respects too, with a superbly crafted interior above the beltline, featuring a padded and contrast stitched leather/leatherette (depending on the surface covered) dash top and instrument panel, steering wheel rim, door panels, and seat upholstery, high-quality soft-touch synthetic door uppers that extend into the back, shiny chrome and stylish satin-silver metal trim, plenty of piano black lacquered coatings, and features galore, the infotainment system in my Premium-trimmed and Technology-packed example even upgraded with split-screen rear-view and top-view surround parking cameras that were oh-so helpful, but others in the class provide clearer, higher resolution digital displays with more functions. 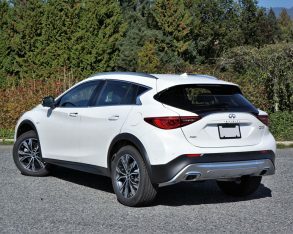 Now that I’m grumbling, I’d also like to see more premium competitors in the entry-level luxury classes improve materials quality to the levels of compact and mid-size models. 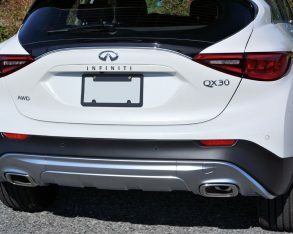 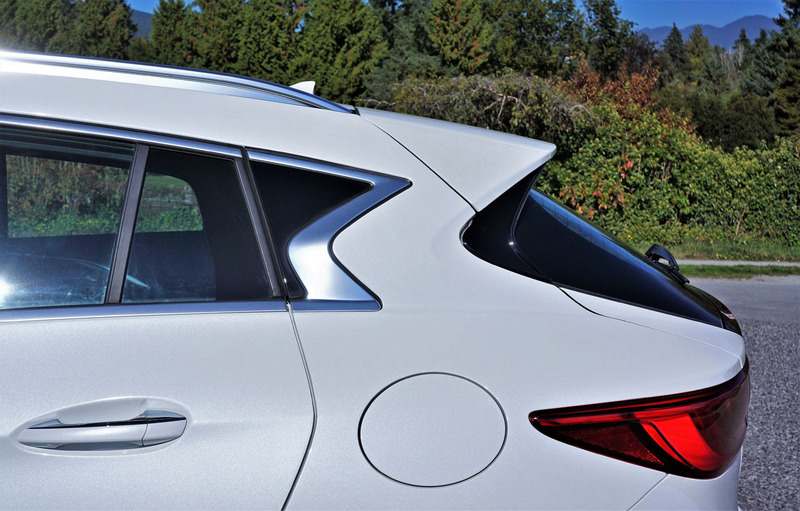 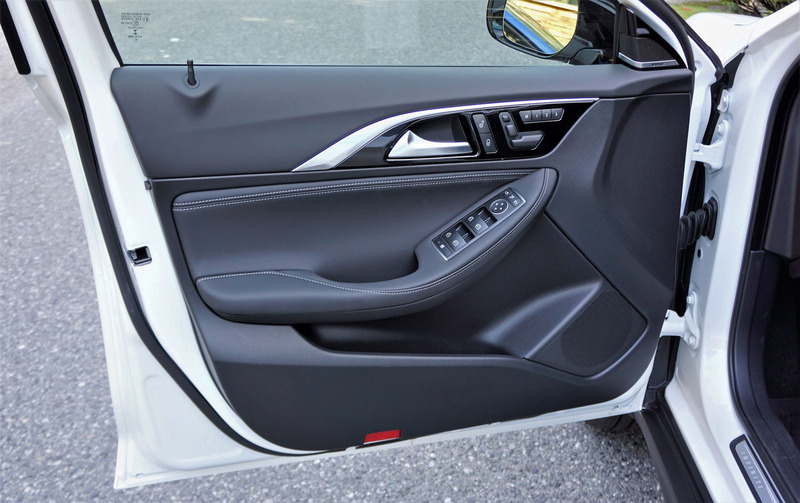 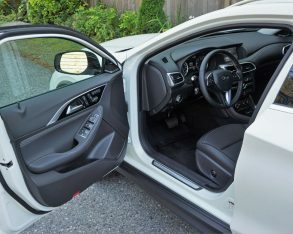 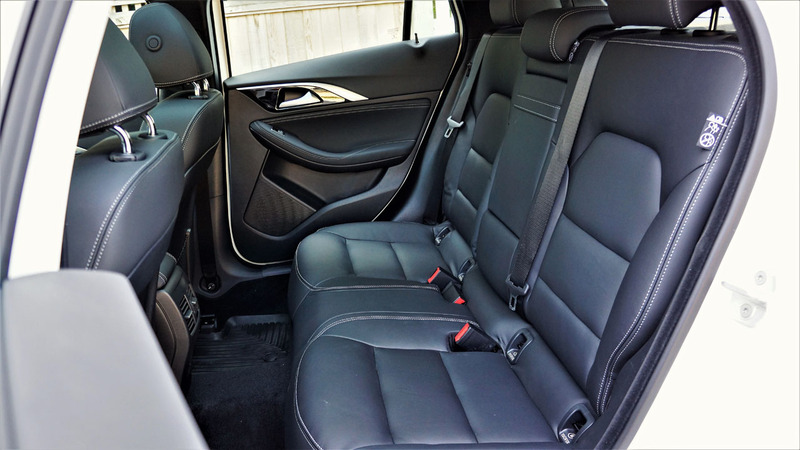 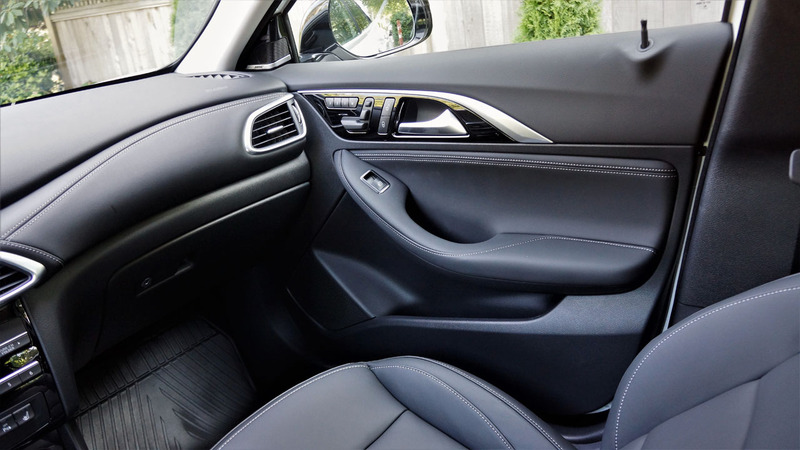 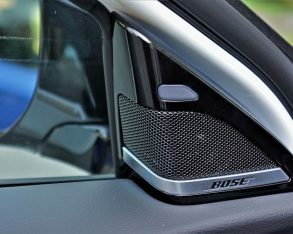 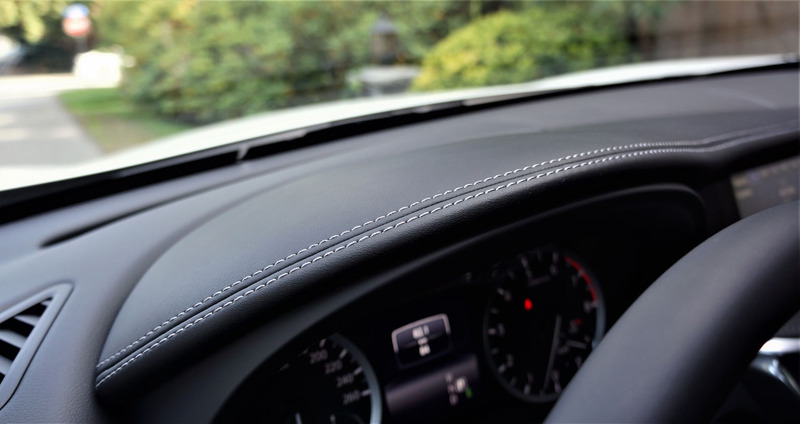 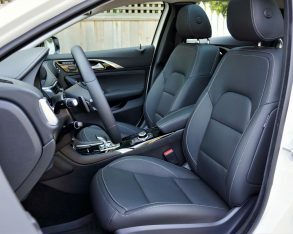 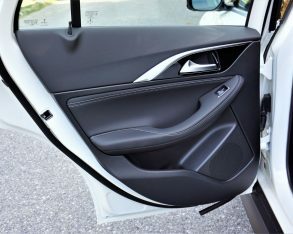 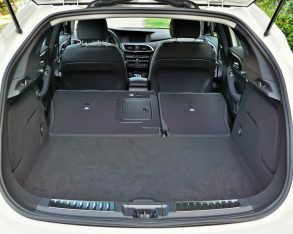 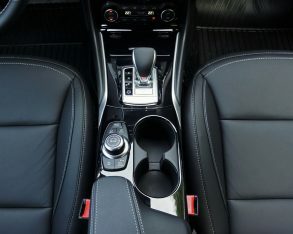 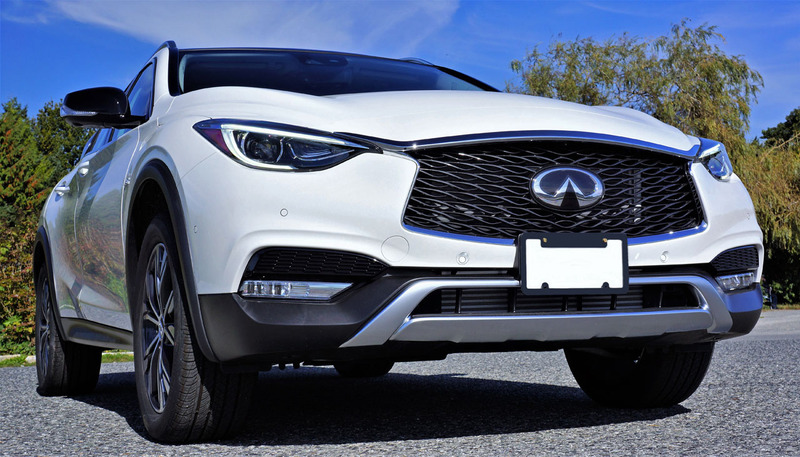 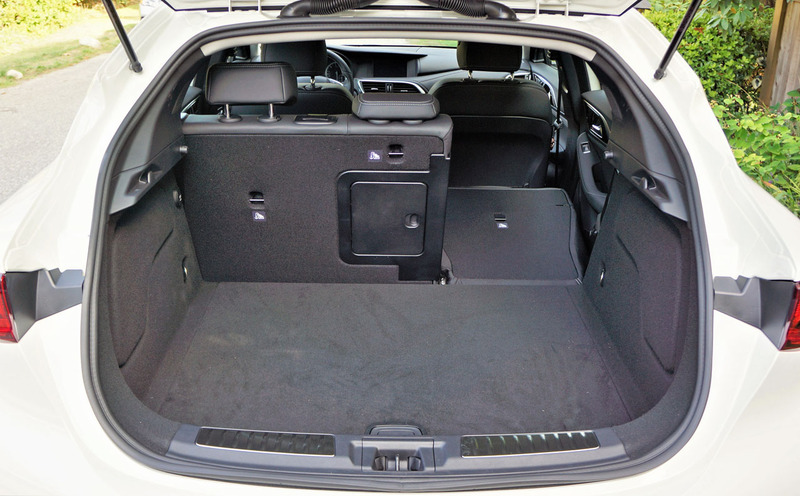 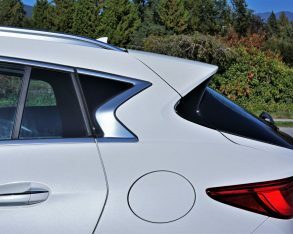 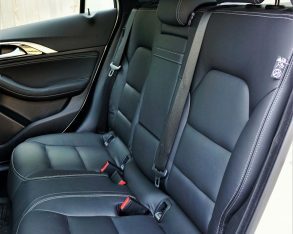 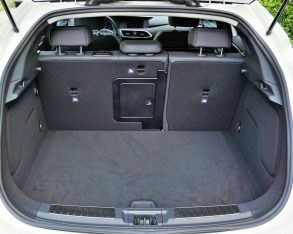 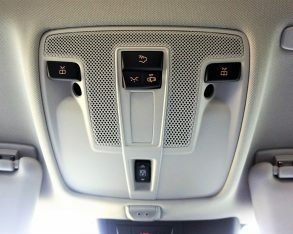 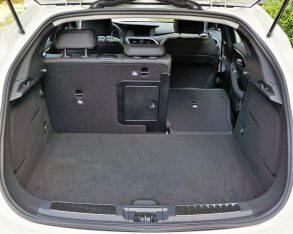 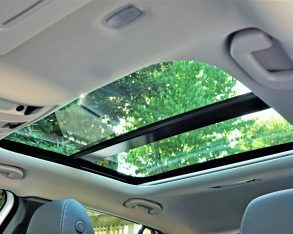 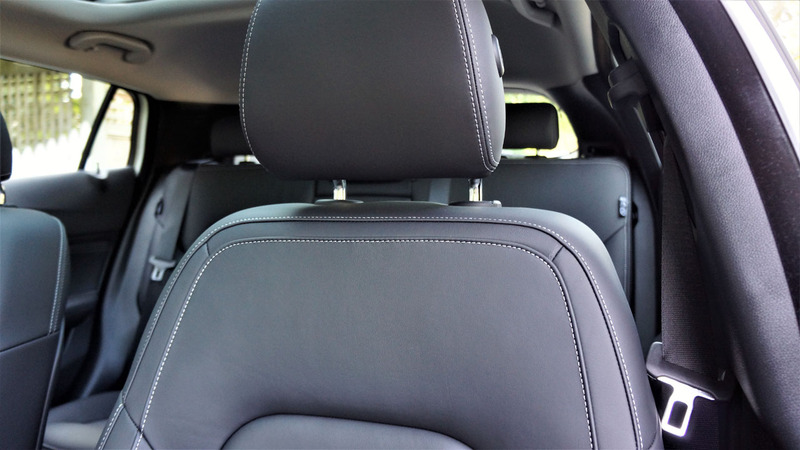 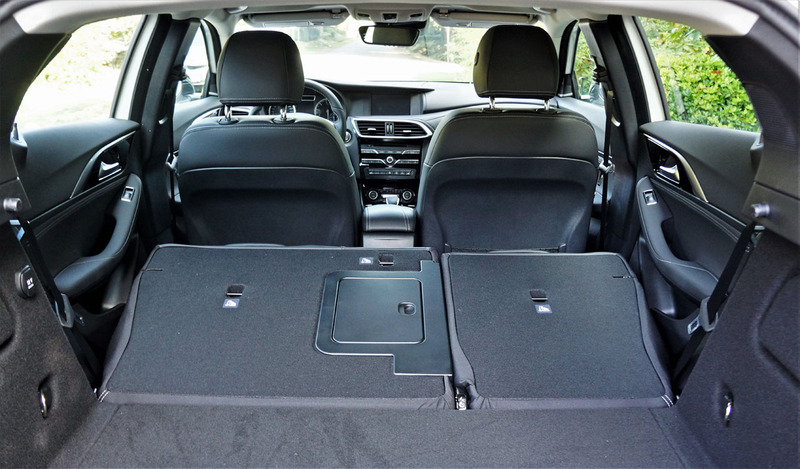 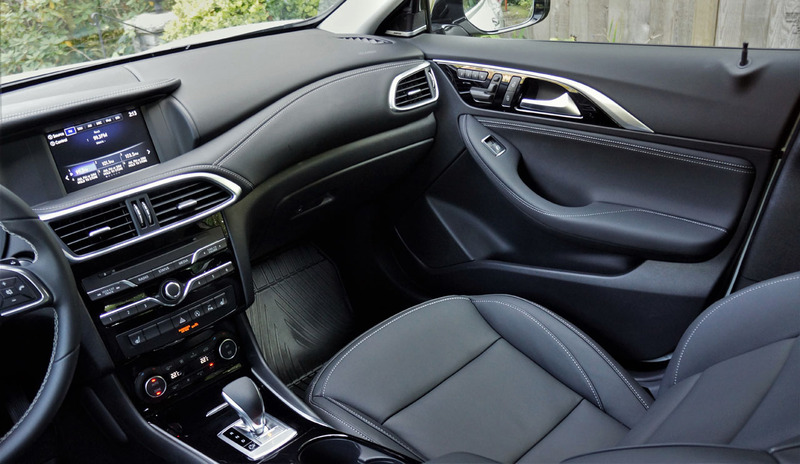 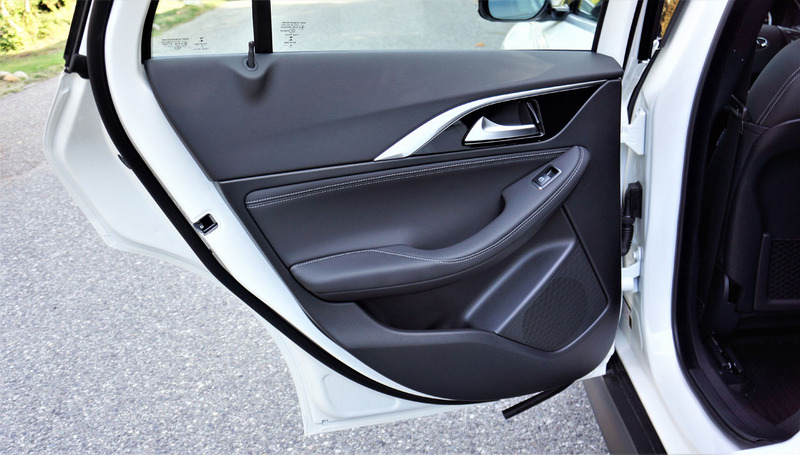 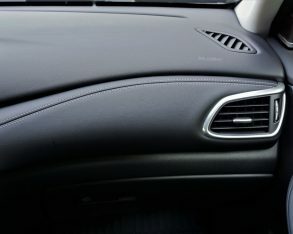 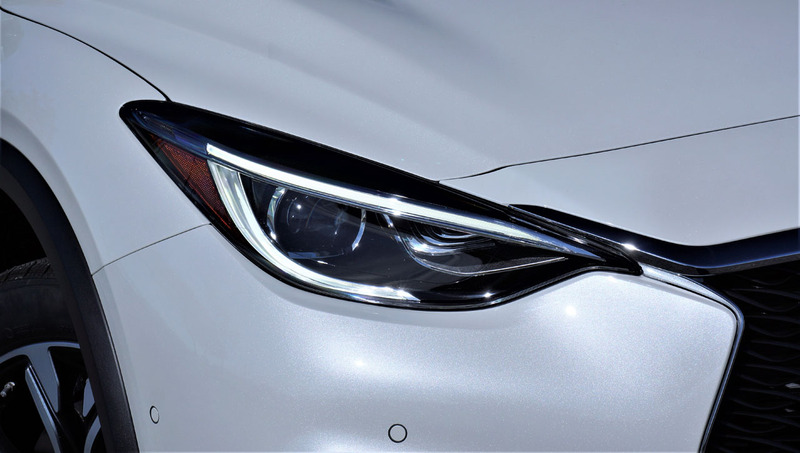 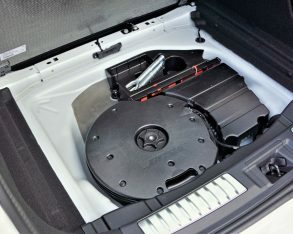 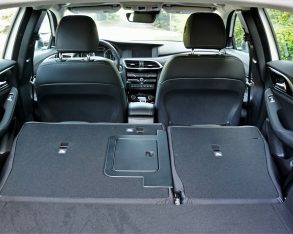 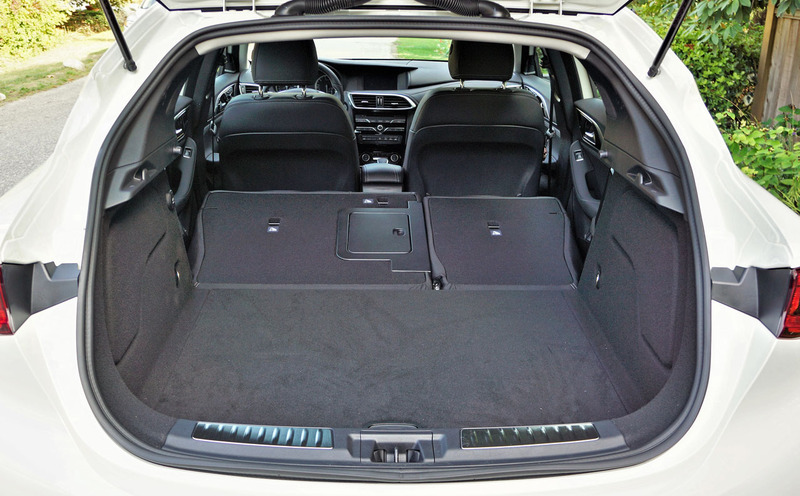 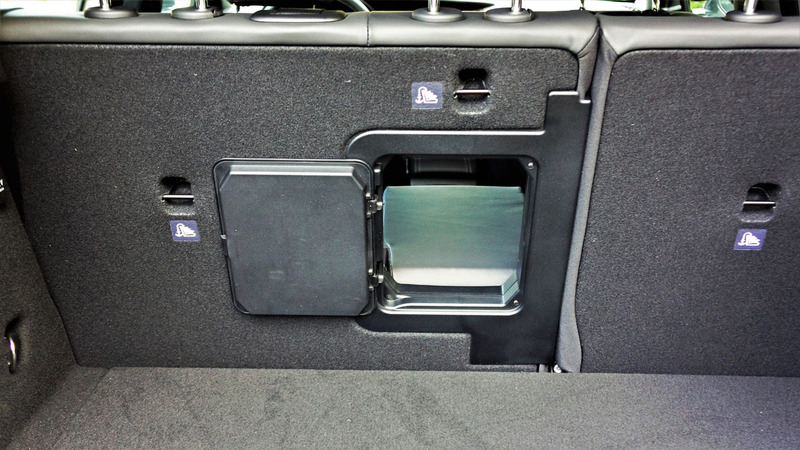 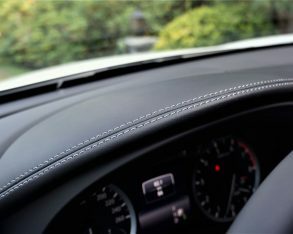 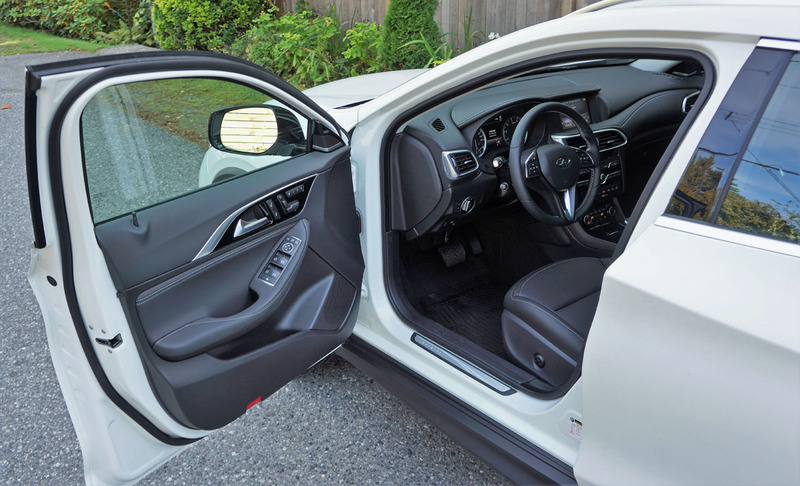 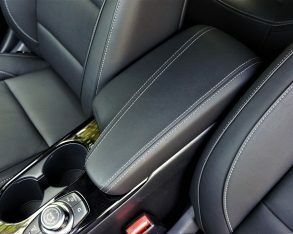 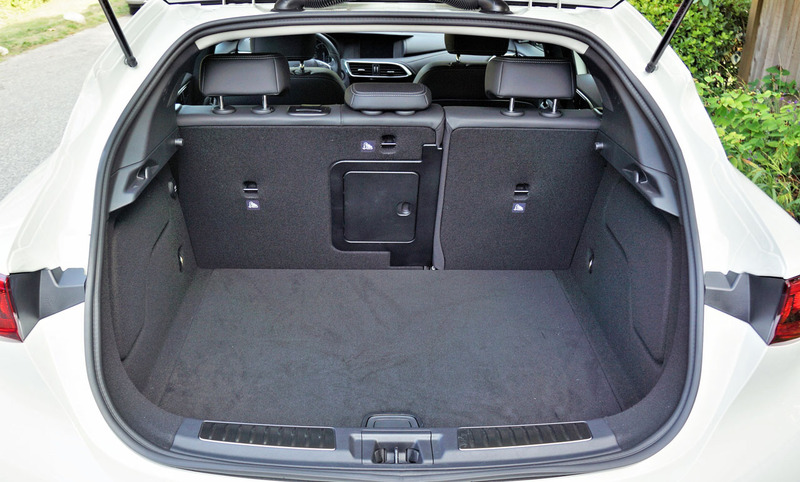 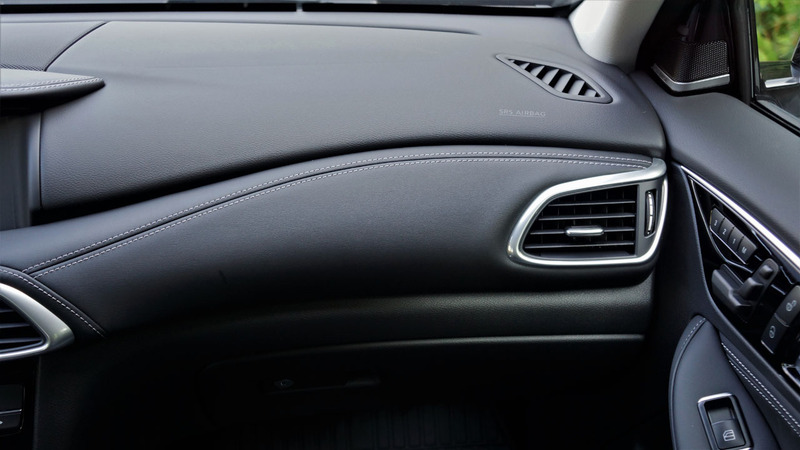 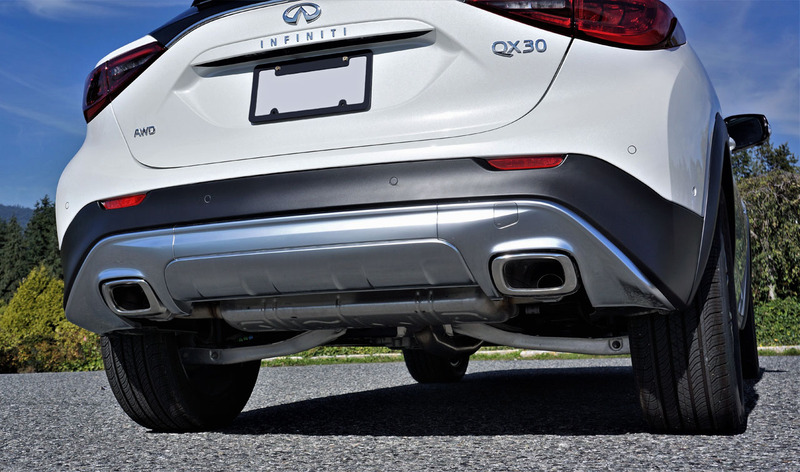 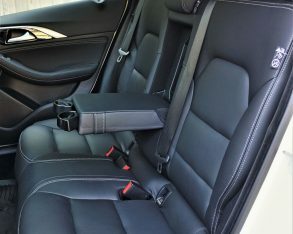 For instance, below the QX30’s aforementioned beltline are hard plastics most everywhere, including the glove box lid, while Infiniti, like Mercedes, only wraps the A pillars in fabric, leaving the B and C pillars with low-rent looking hard plastic covers. 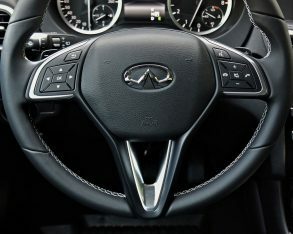 Most premium brands are guilty of such cost cutting, so I’m not singling Infiniti out, and their seemingly reasonable collective responses will no doubt be savings oriented, but with mainstream volume brands doing such a fine job of equipping their similarly sized yet much more affordable models to very similar levels of fit, finish and refinement as premium players, not to mention features, luxury brands might want to consider improving their lot to the point that their individual brand DNA remains consistent from their smallest to largest models. 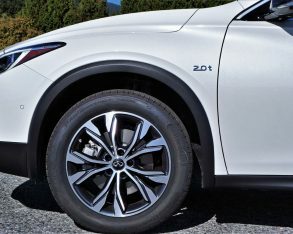 As it is, the current mindset rewards buyers of larger, less efficient vehicles with greater levels of luxury, and punishes those who might alternatively want the same level of pampering without a more powerful engine and larger, heavier footprint, nor the environmental impact this decision delivers. 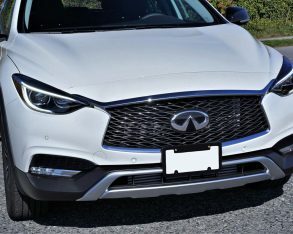 Again, this isn’t an issue with Infiniti or the QX30 per se, but rather with all premium manufacturers and, likely, the entire luxury ethos. 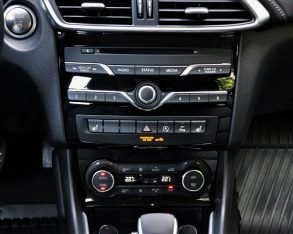 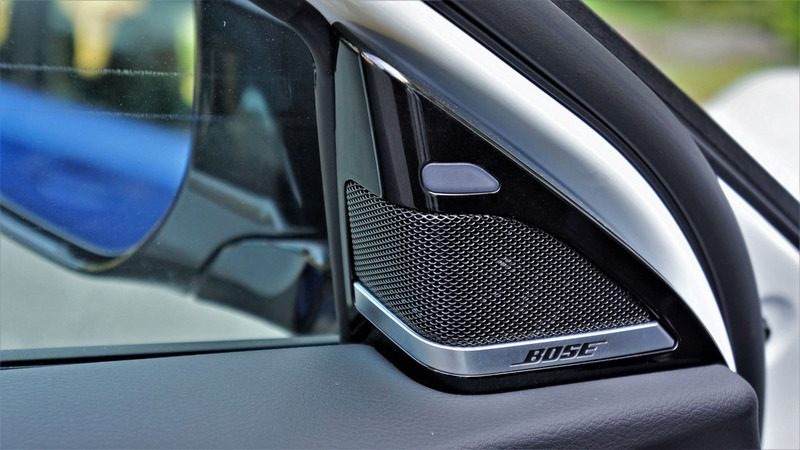 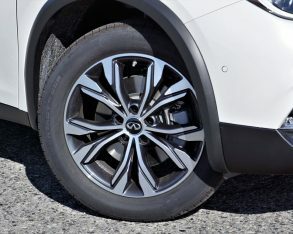 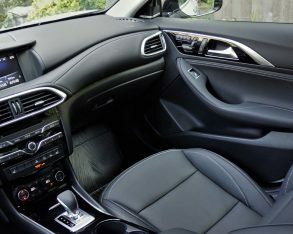 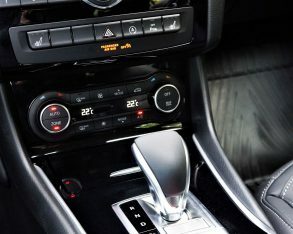 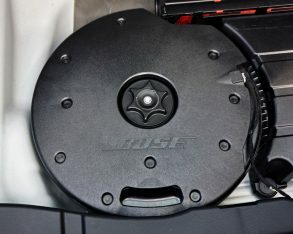 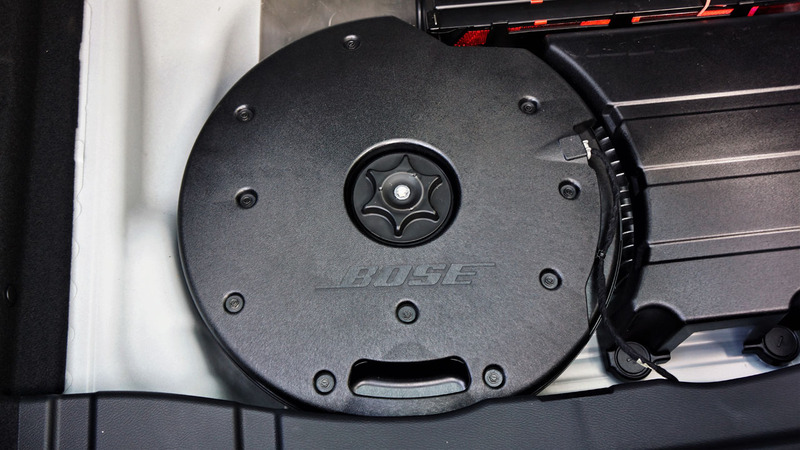 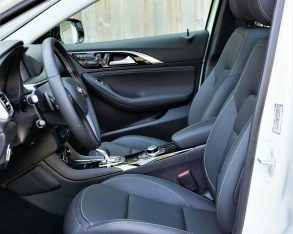 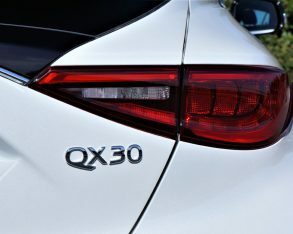 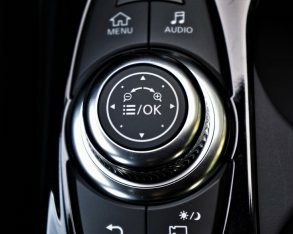 As noted at length earlier, the base QX30 is very well equipped, with some features not yet mentioned including 18-inch alloys, auto on/off halogen headlamps, signature LED daytime running lamps, cruise control, Bluetooth phone and audio streaming, six-speaker AM/FM/CD/USB/satellite audio, all the usual active and passive safety equipment, and more. 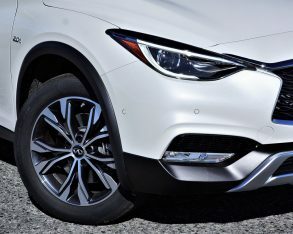 Choosing all-wheel drive doesn’t add to any equipment levels, however it ups the starting price to $38,490 (also unchanged) while providing unique front and rear fascia designs, extended overfenders with reformed sill panels, a different set of 18-inch alloy wheels, a three centimetres-plus raised ride height, flashier glossy black mirror caps, and roof rails up top. 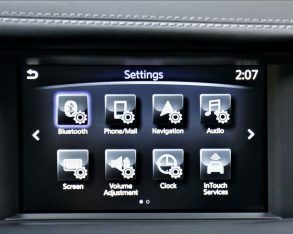 And what about all the features not yet mentioned? 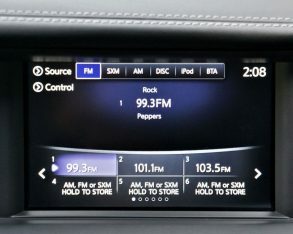 These are the result of a $5,000 Premium package that boasts LED fog lamps, a chrome trunk finisher, aluminum treadplates, rain-sensing wipers, heated windshield washer nozzles, a universal garage door opener, a colour multi-information display, more advanced Infiniti InTouch infotainment with Navigation and lane guidance, great sounding 10-speaker Bose audio, a fixed panoramic sunroof with a powered sunshade, and front and rear parking sensors. 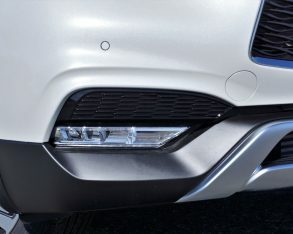 Last but hardly least, a $2,500 Technology package improves those cat’s eye-shaped headlamps to full LEDs with dynamic cornering capability and auto high beams, adds enhanced LED ambient lighting inside, plus adaptive cruise control, the superb aforementioned 360-degree surround parking monitor with moving object detection, semi-automated self-parking, forward emergency braking, blindspot monitoring, and lane departure warning. 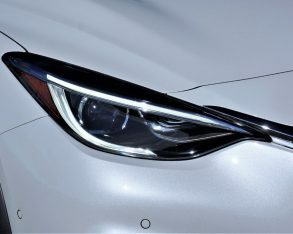 I won’t go into the Sport model’s features right now, but hopefully will cover this model separately later in the year. 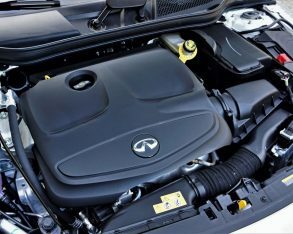 Suffice to say it improves on styling, performance and standard features for $46,490. 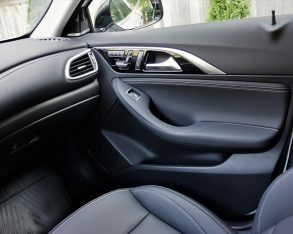 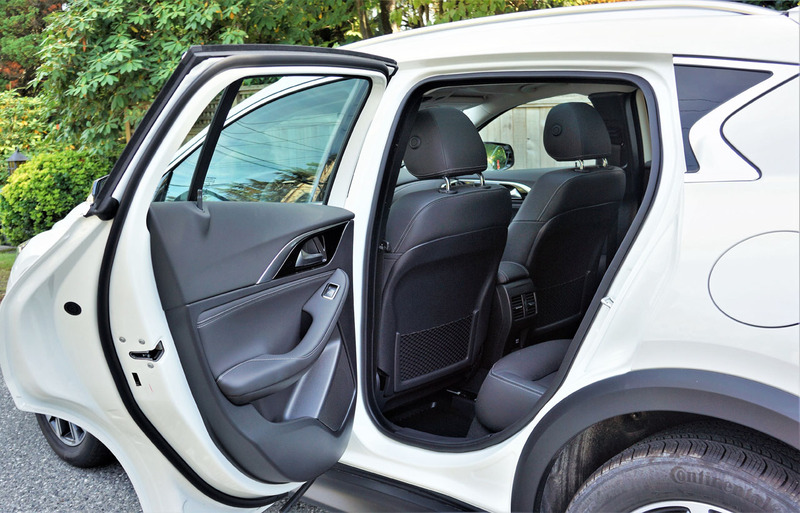 Along with its loads of features, the QX30 is quite accommodating inside as well, with plenty of room for most body types up front plus surprisingly spacious rear quarters. 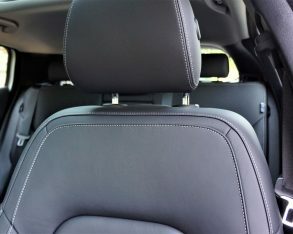 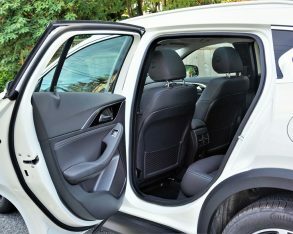 When I positioned the driver’s seat for my five-foot-eight height I still had five inches left over ahead of my knees and more than enough space for my feet when wearing winter boots, plus there were approximately four inches over my head and about the same beside my outer shoulder and hips. 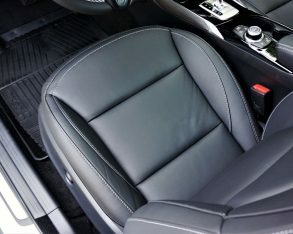 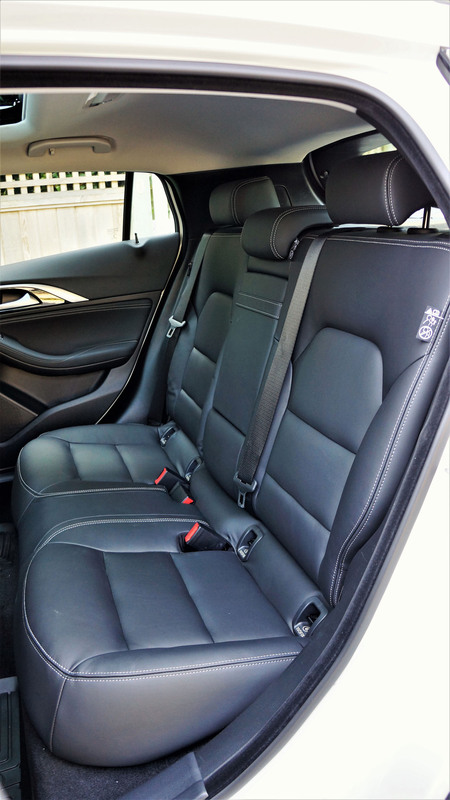 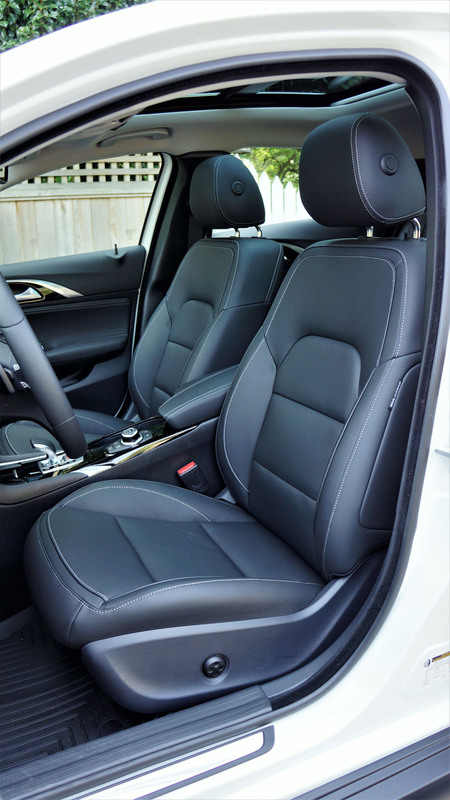 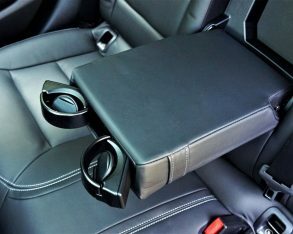 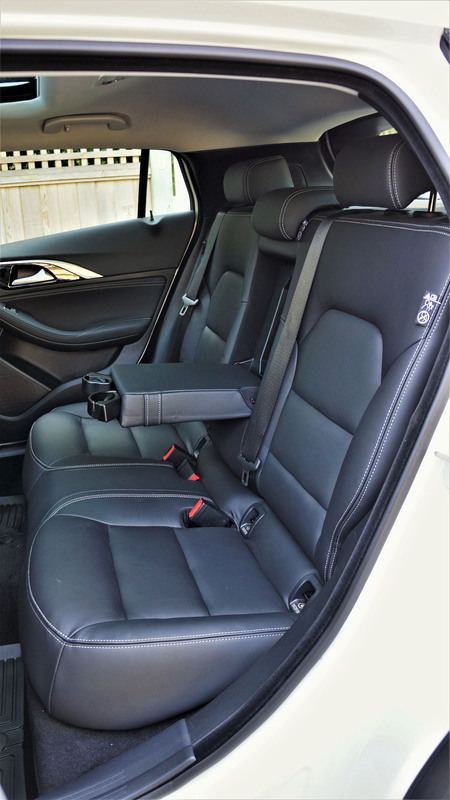 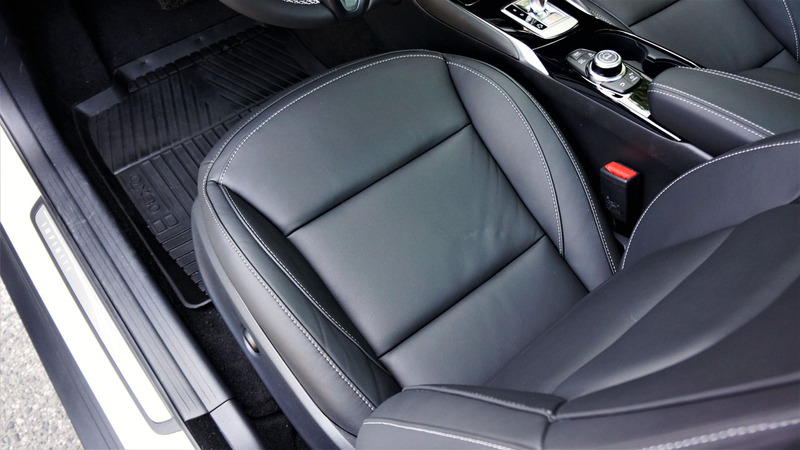 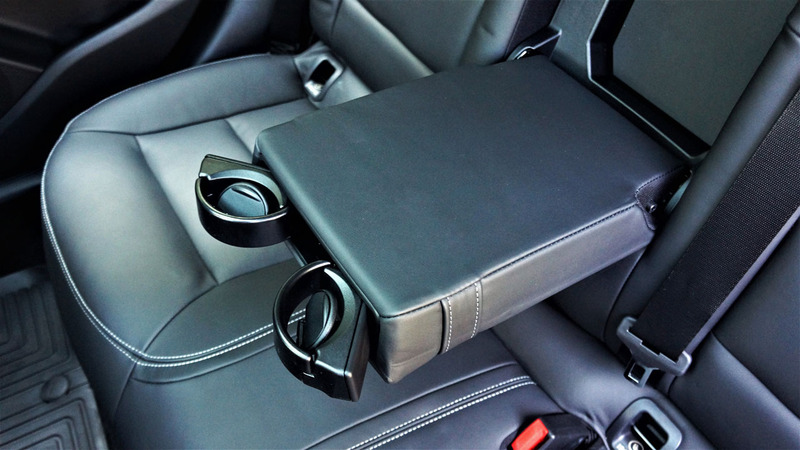 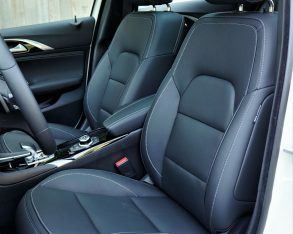 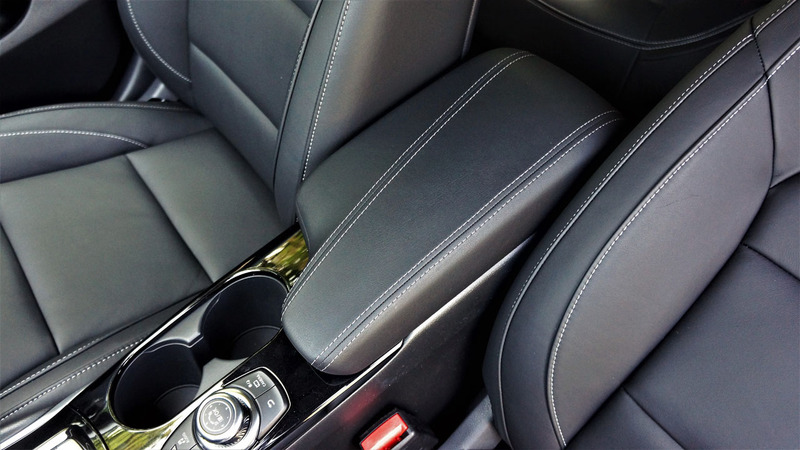 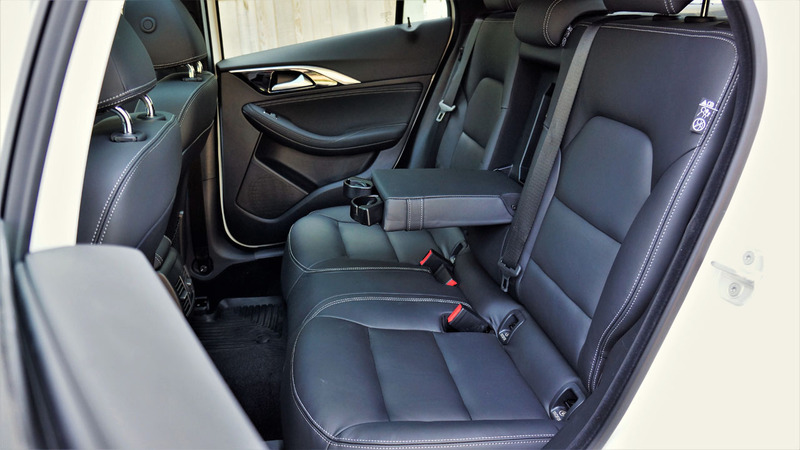 You could probably stuff three side-by-side in back, but it’s a great deal more comfortable with two, especially when folding the centre armrest down and taking advantage of its pop-out twin cupholders. 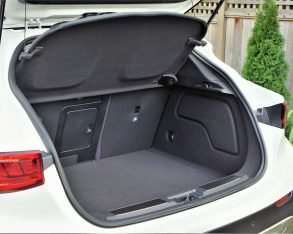 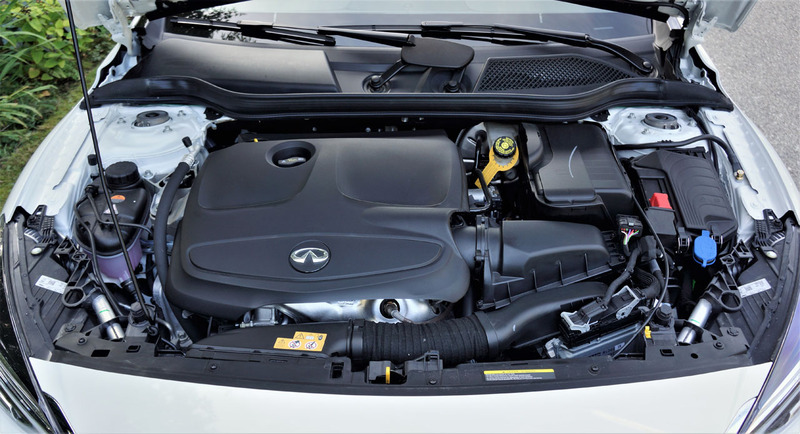 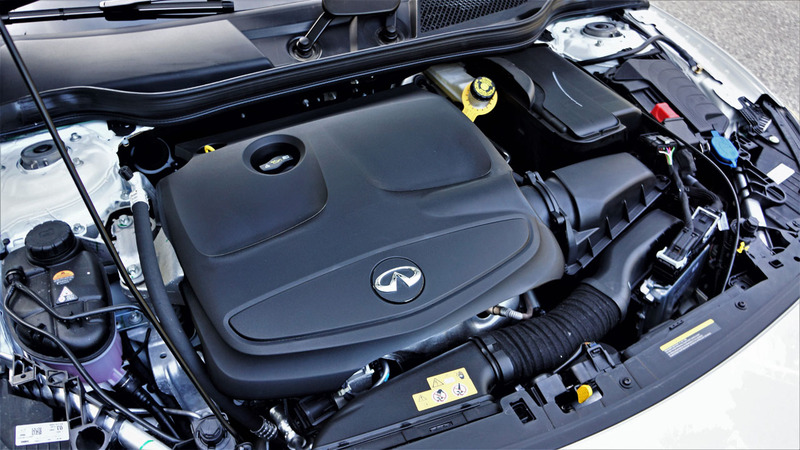 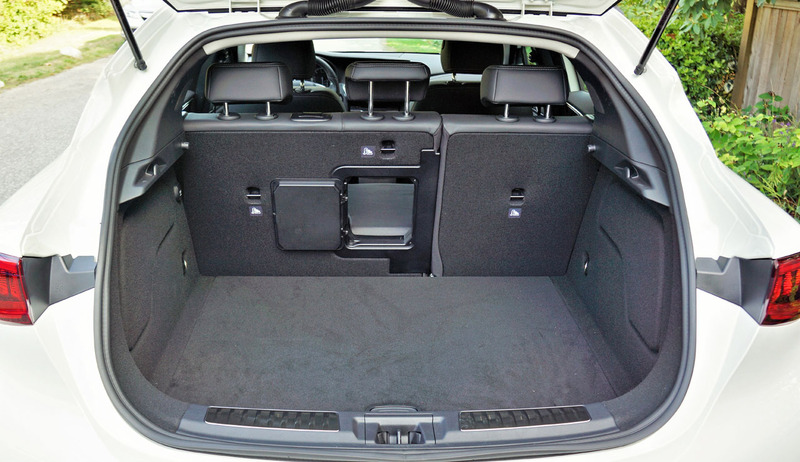 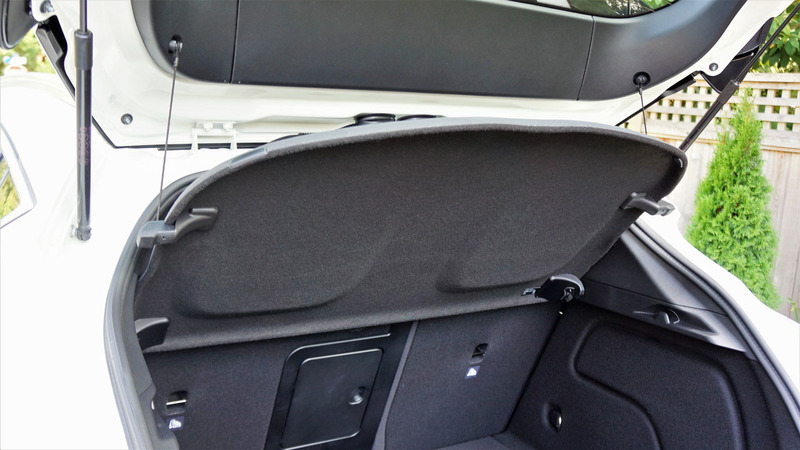 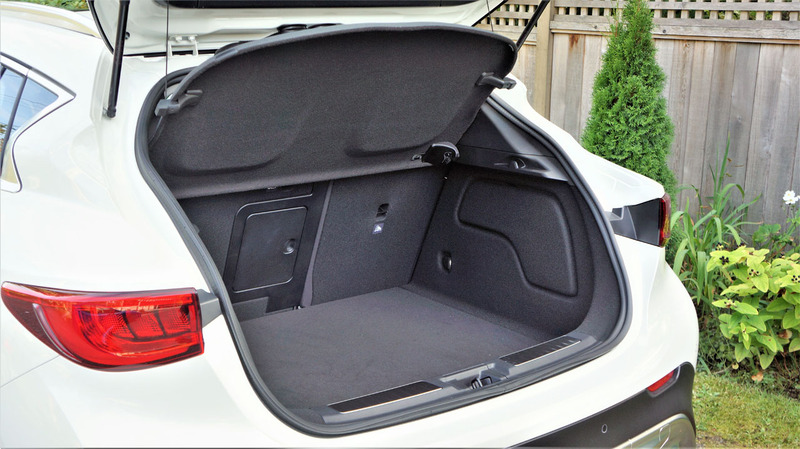 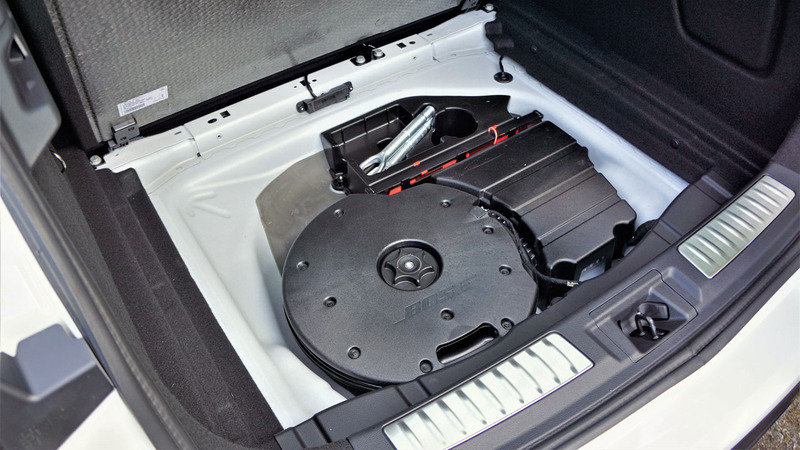 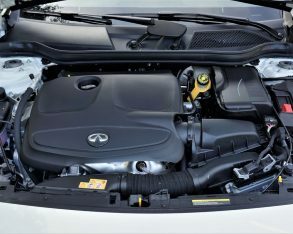 Further back, Infiniti provides a very roomy cargo hold measuring 544 litres (19.2 cubic feet) with the 60/40-split rear seatbacks upright or 963 litres (34.0 cubic feet) when they’re laid flat. 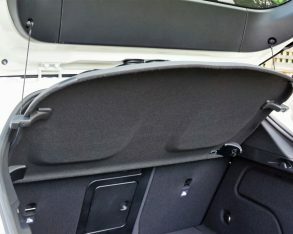 Alternatively you have a best of both worlds scenario of stowing longer items through a pass-through down the middle, leaving the more comfortable outboard window seats to rear passengers. 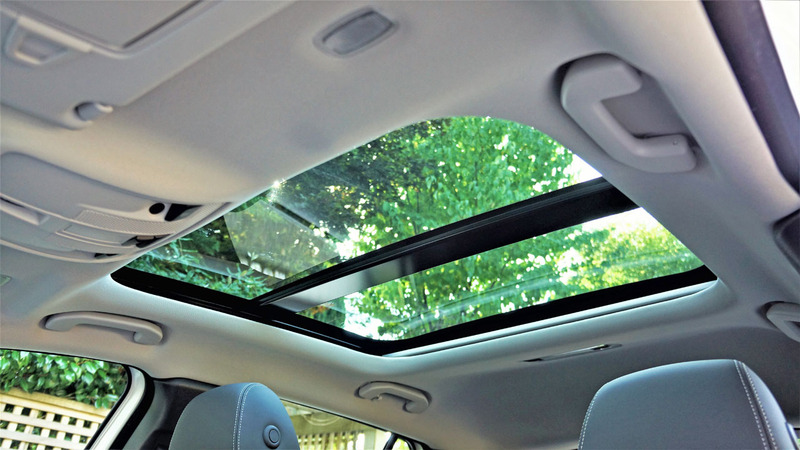 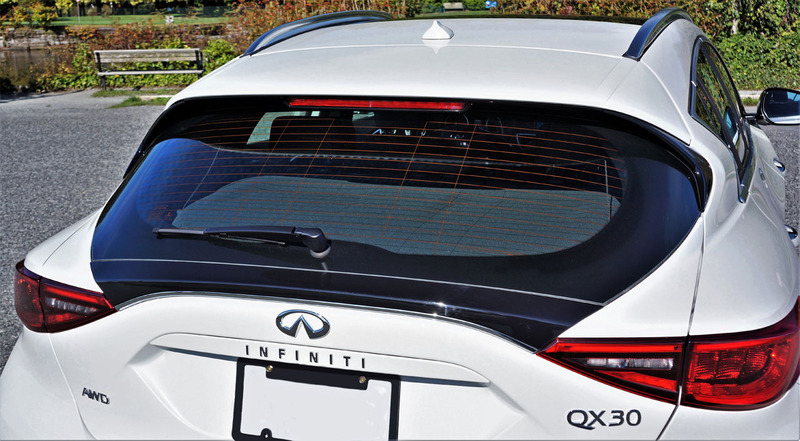 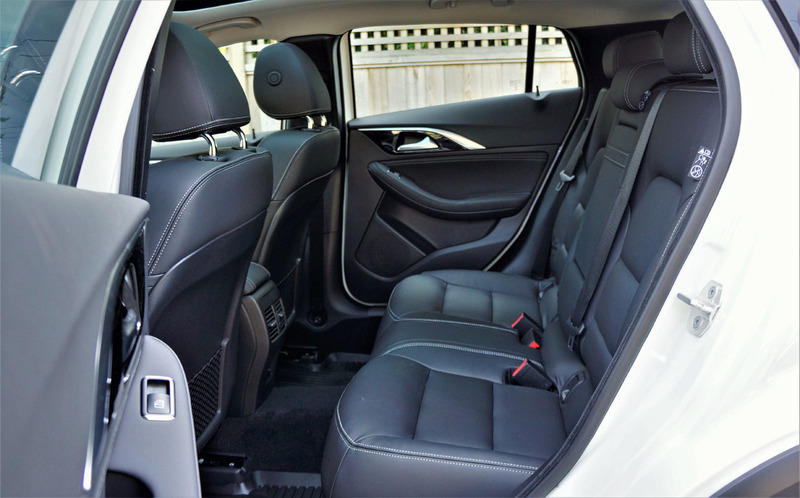 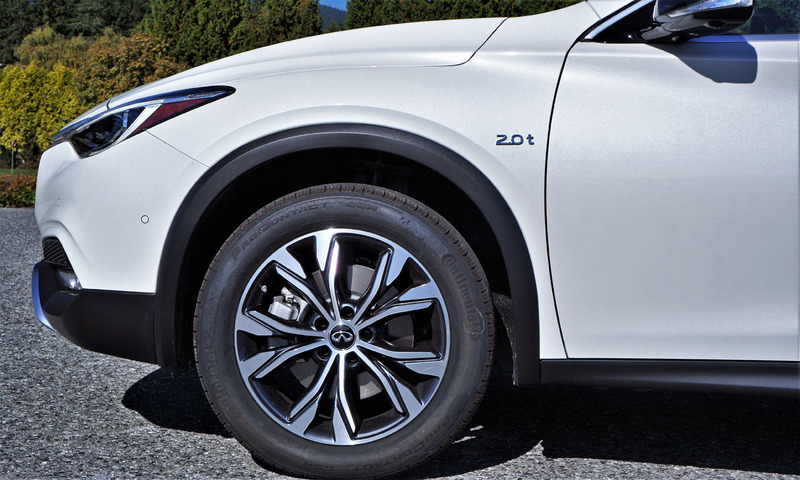 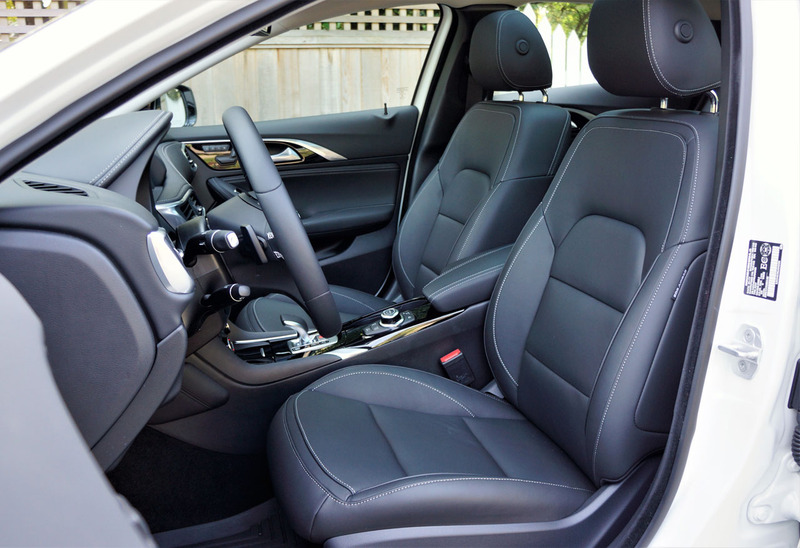 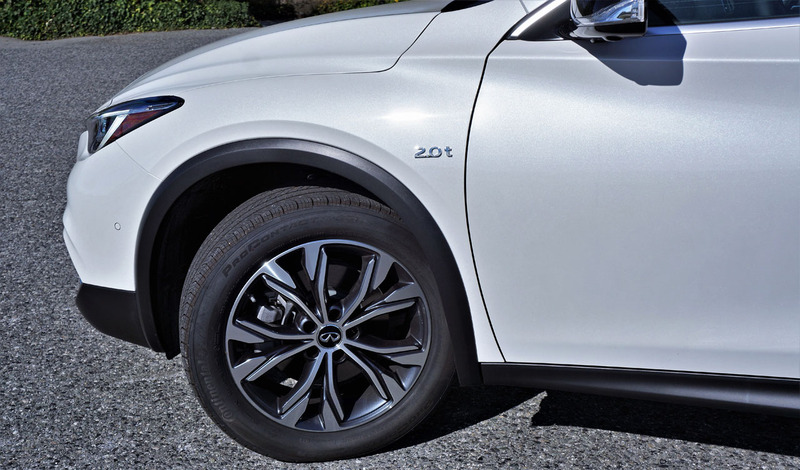 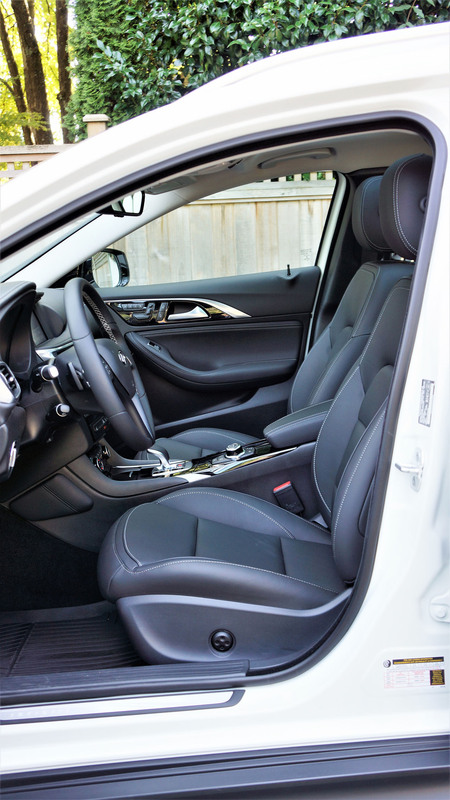 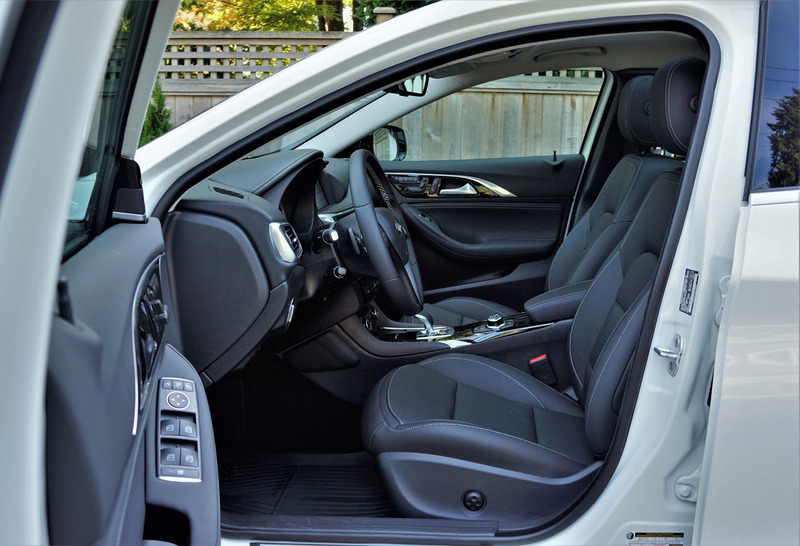 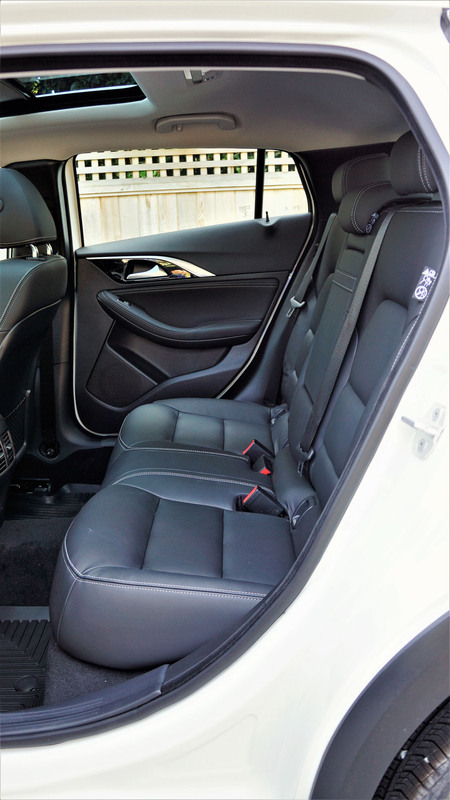 Yes, the QX30 is one very livable little luxury utility, with an emphasis on upscale refinement and comfort. 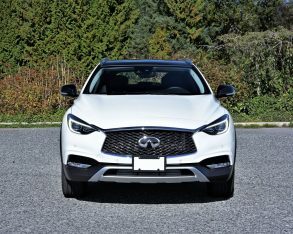 Its enjoyable performance and generally easy driving nature weigh in its favour too, which would all come together to make this little Infiniti a worthy contender in the subcompact luxury SUV class even if its value proposition wasn’t so good. 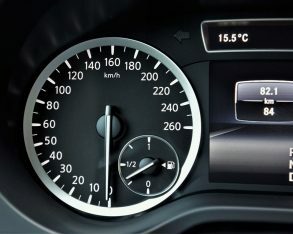 Yet there lies the differentiator. 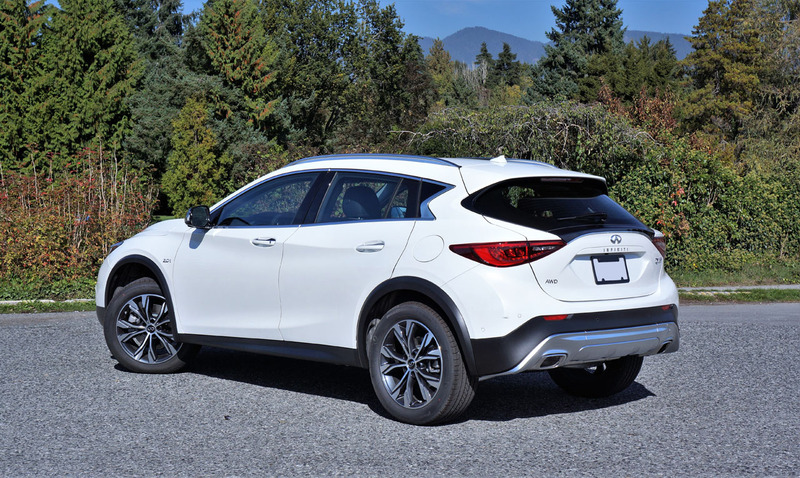 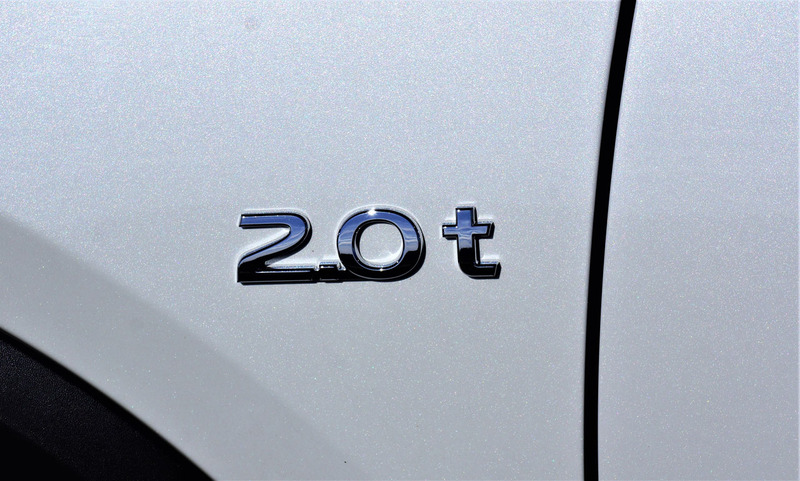 The 2018 QX30 drives excellent value along with its many other attributes, making it one of the better choices for premium buyers that want to get the most from their automotive investment. 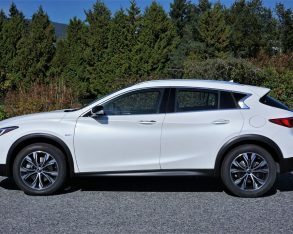 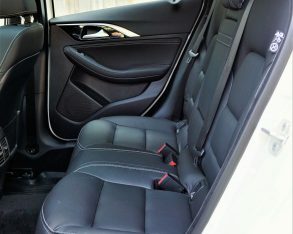 I certainly believe it deserves a lot more attention than it currently gets, so if you’re in the market for a small SUV I recommend a closer look at an Infiniti QX30.